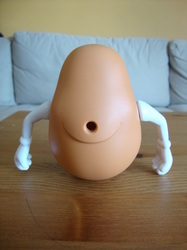 Mr. 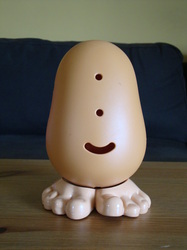 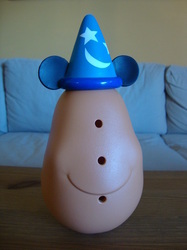 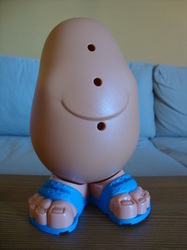 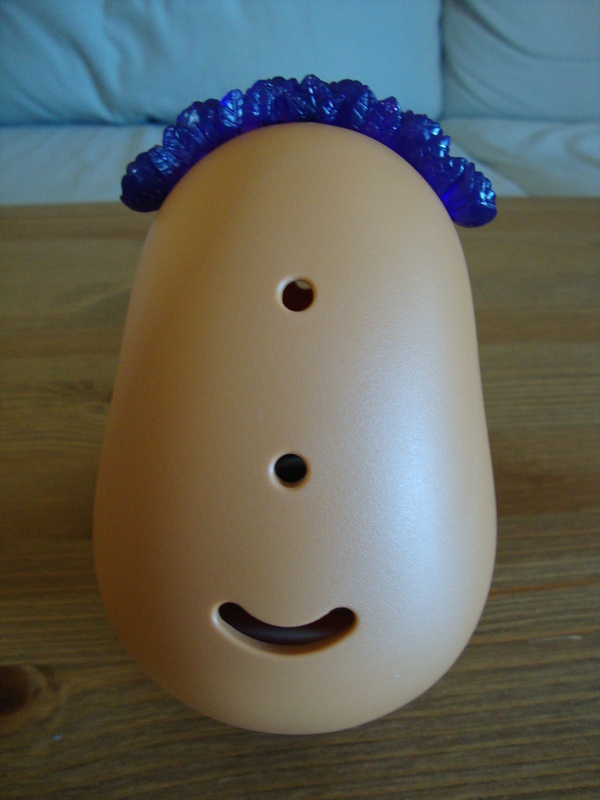 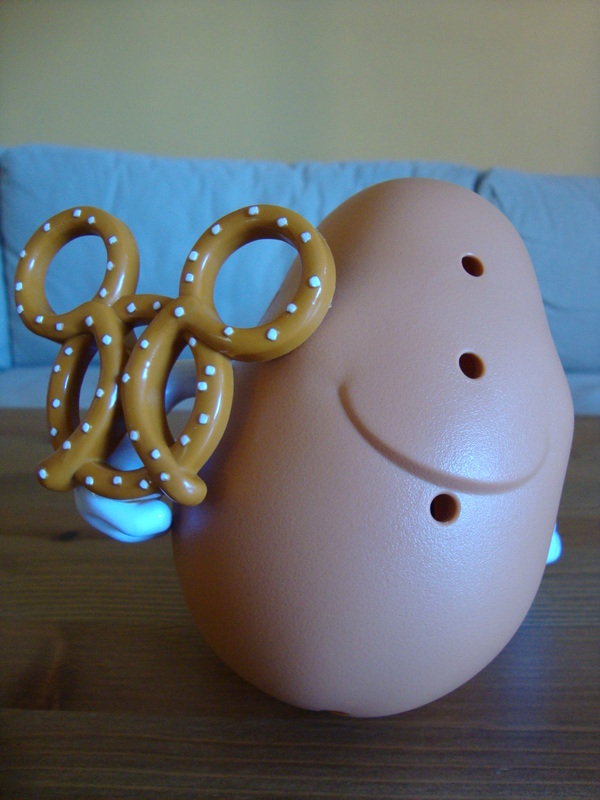 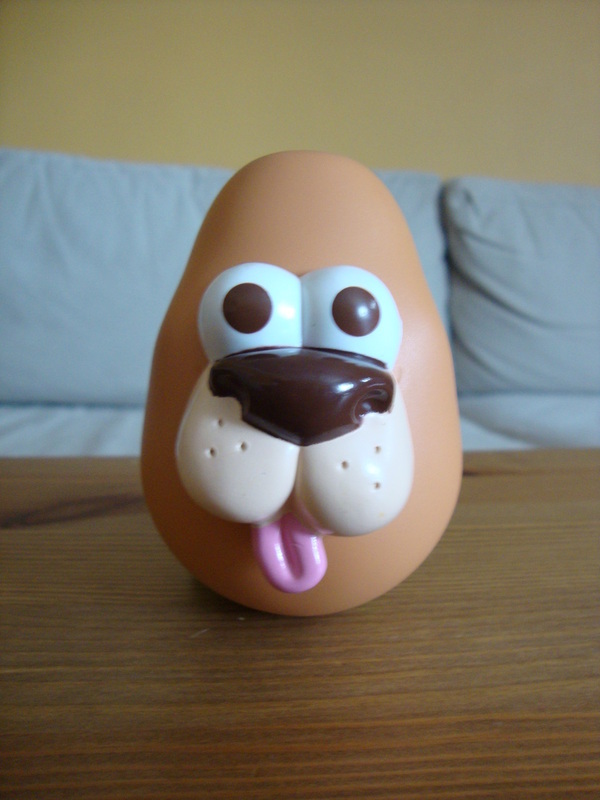 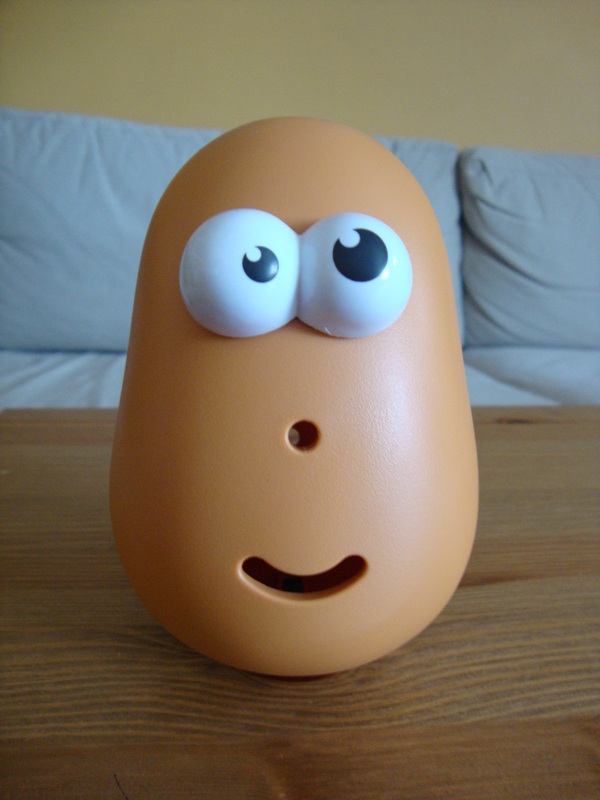 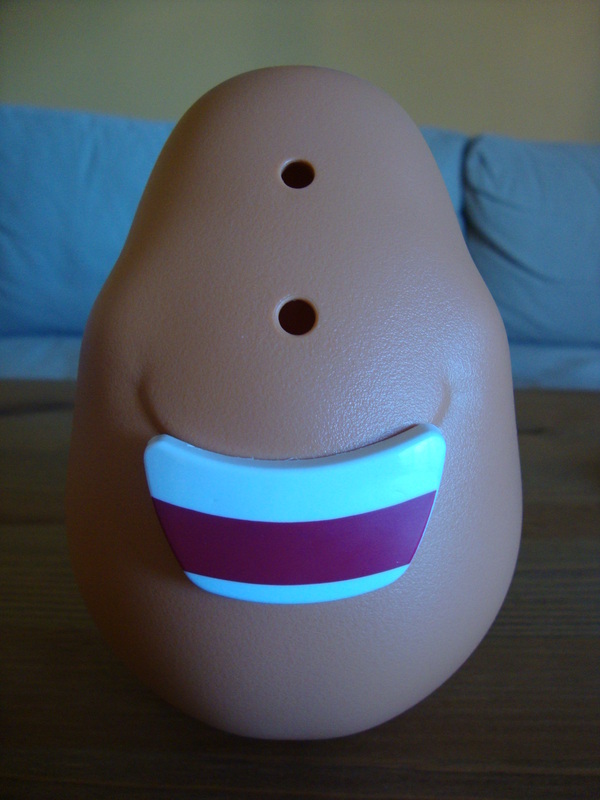 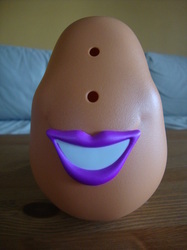 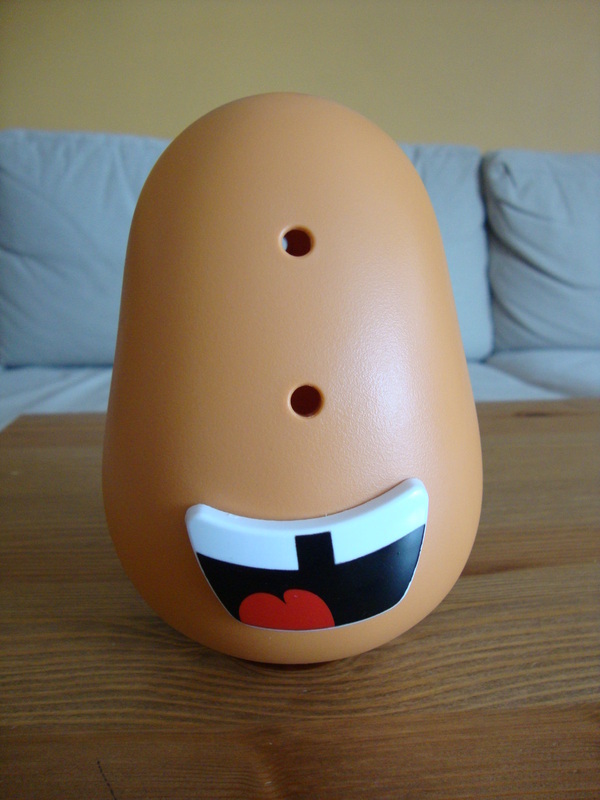 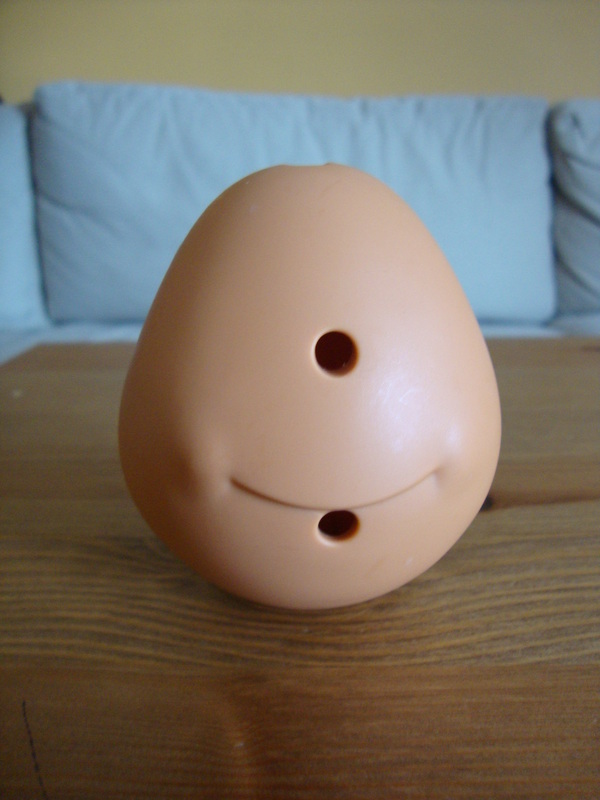 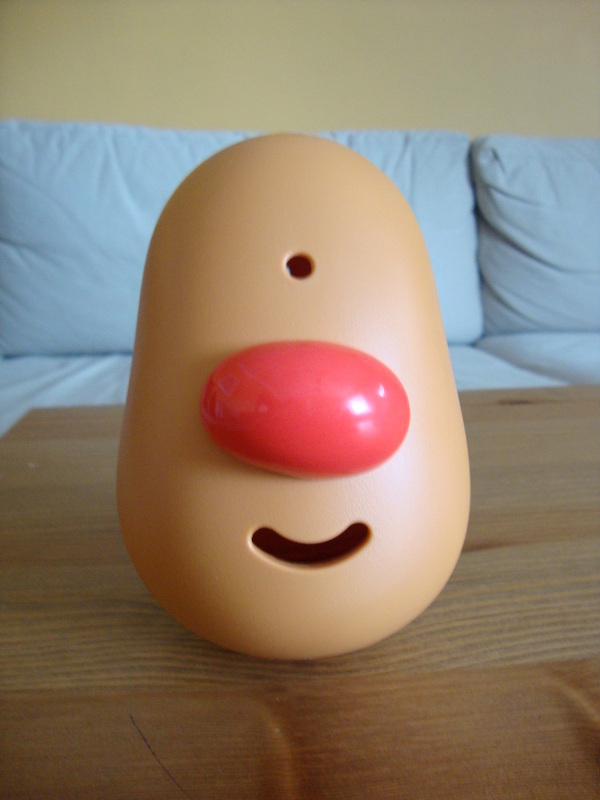 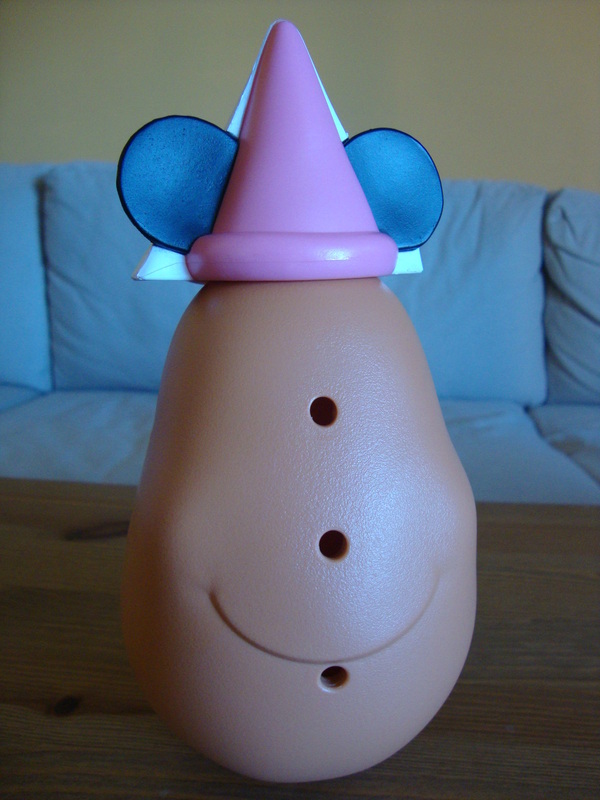 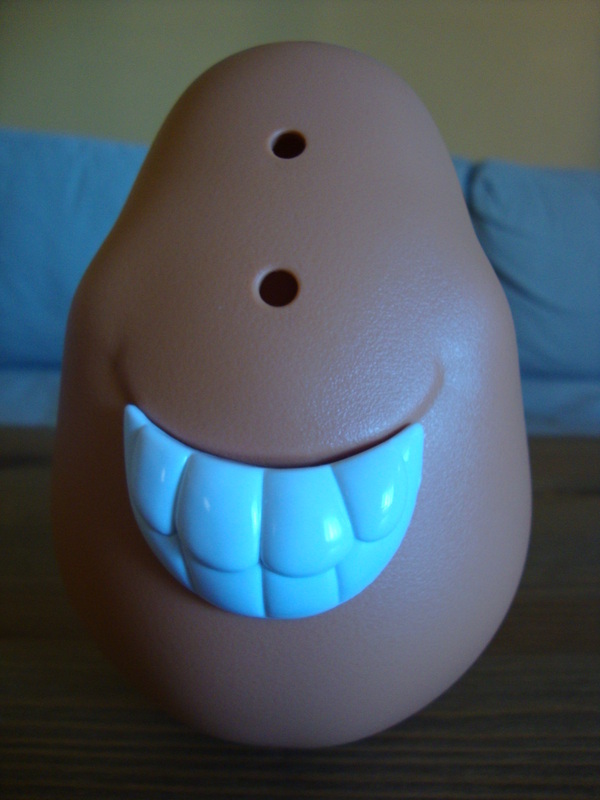 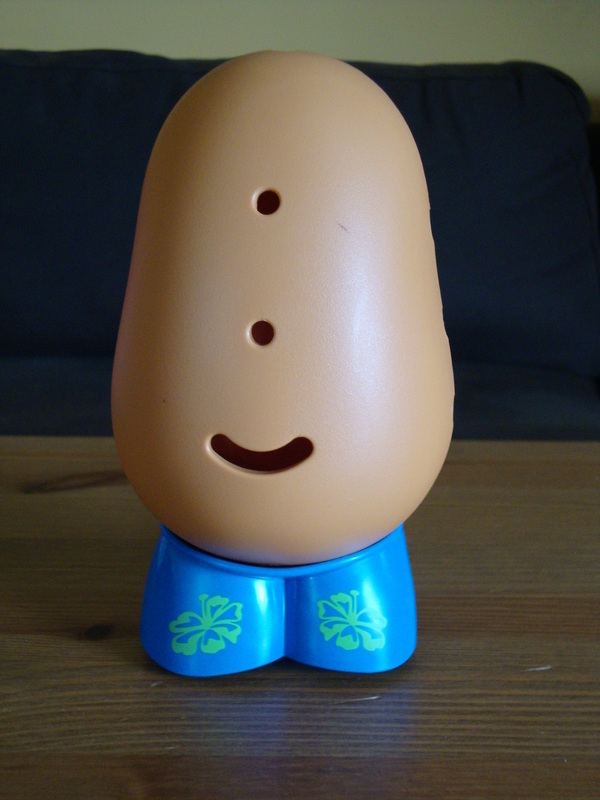 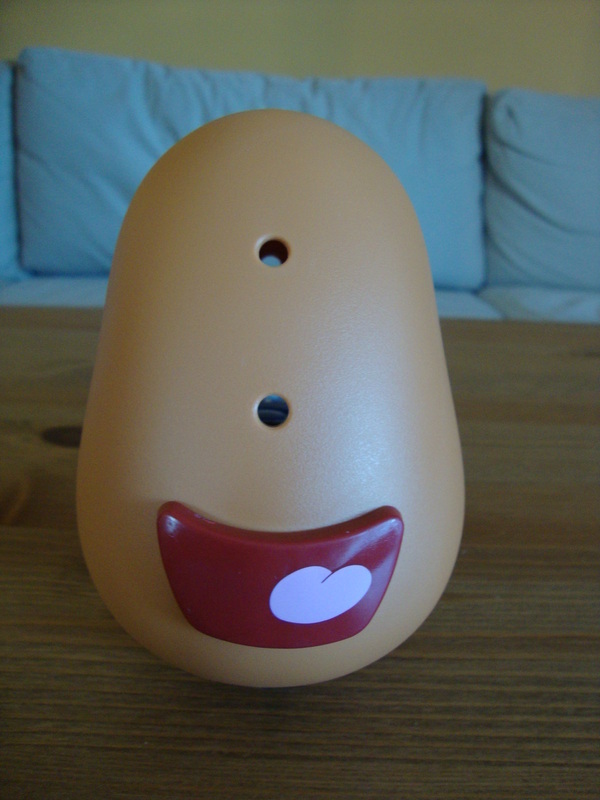 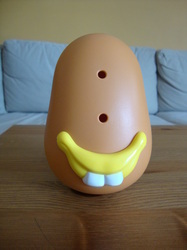 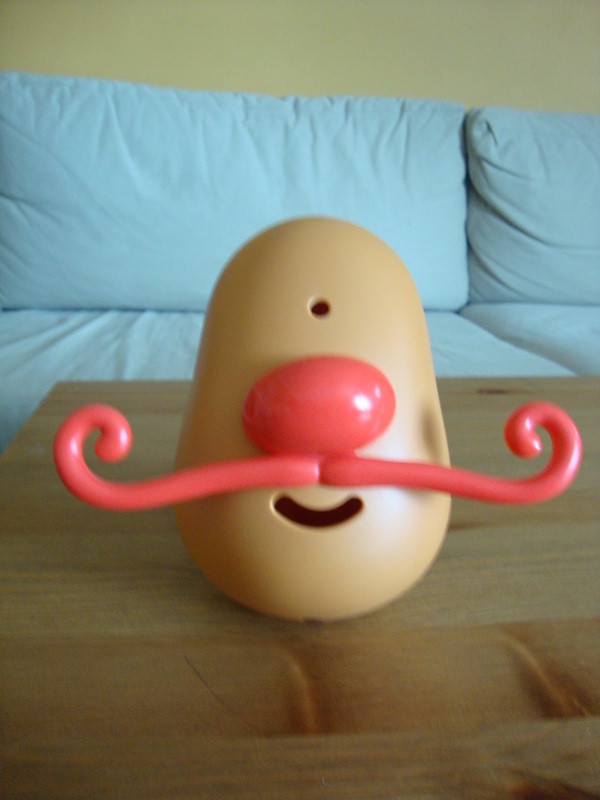 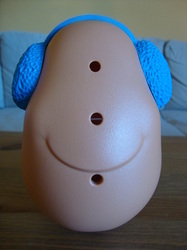 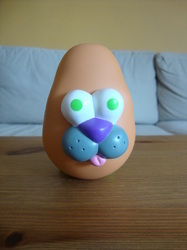 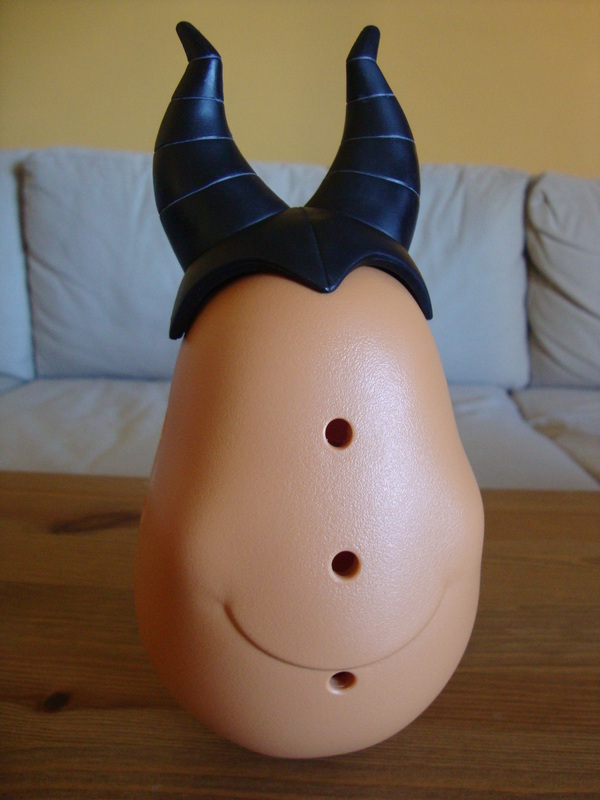 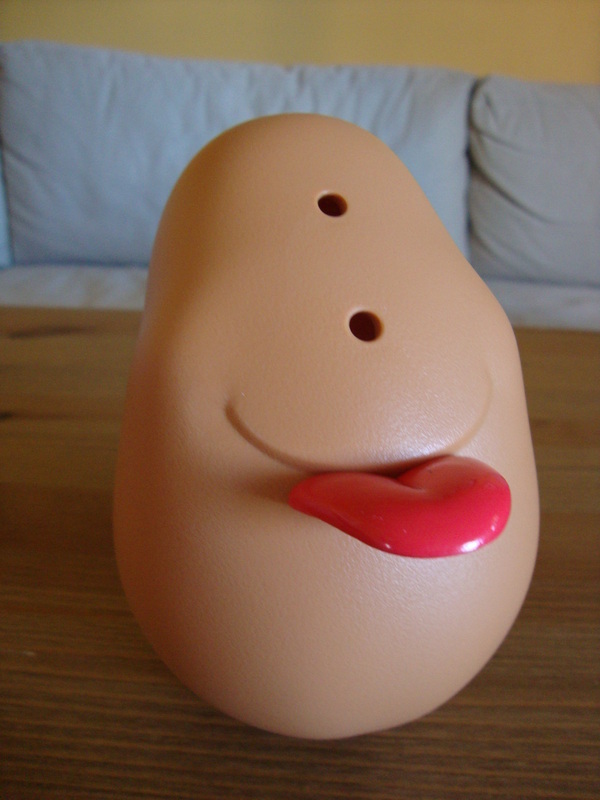 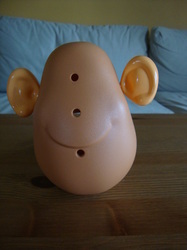 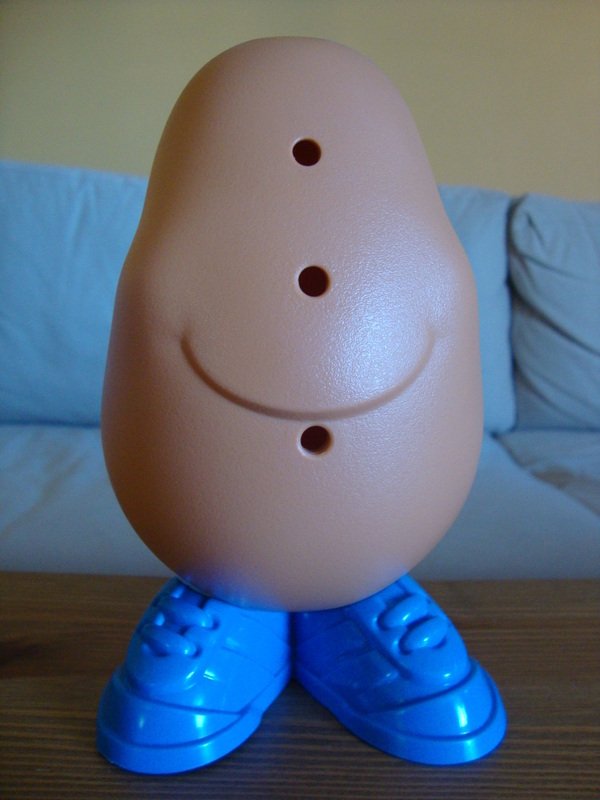 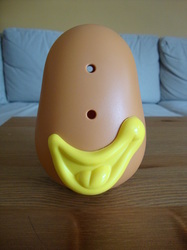 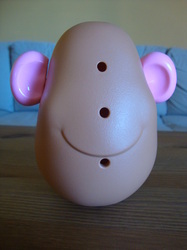 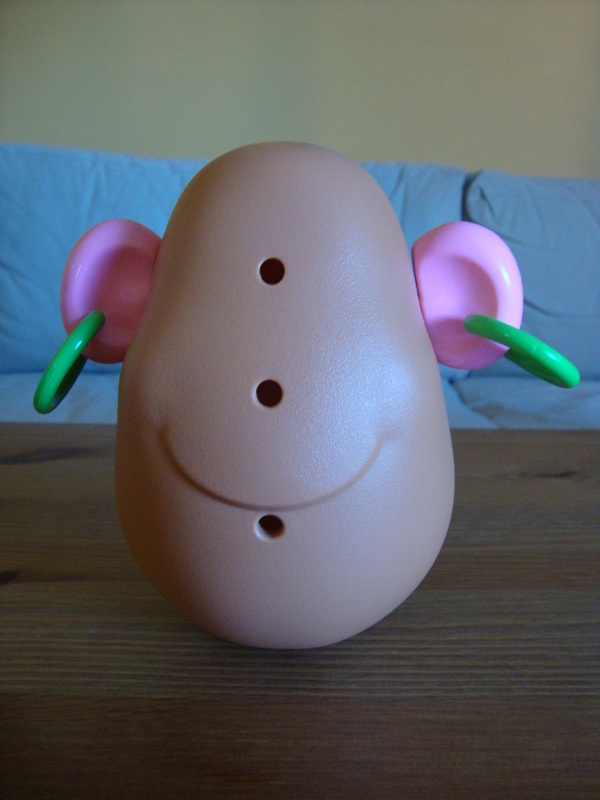 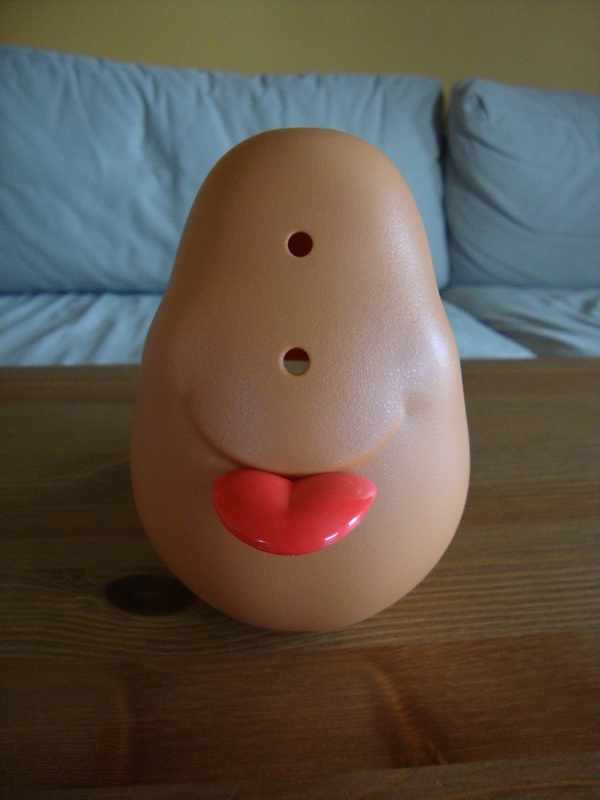 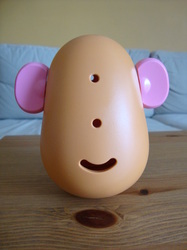 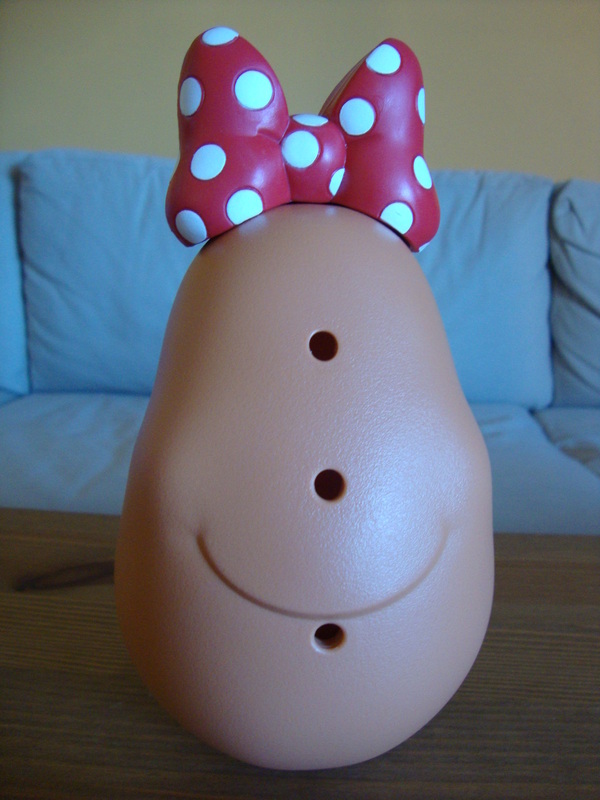 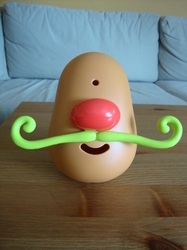 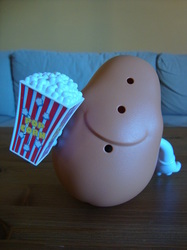 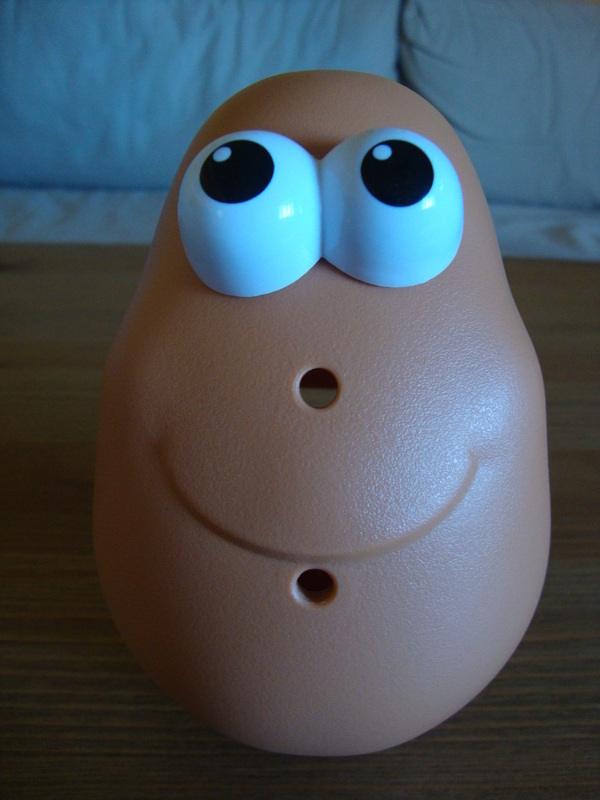 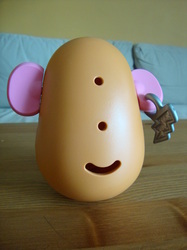 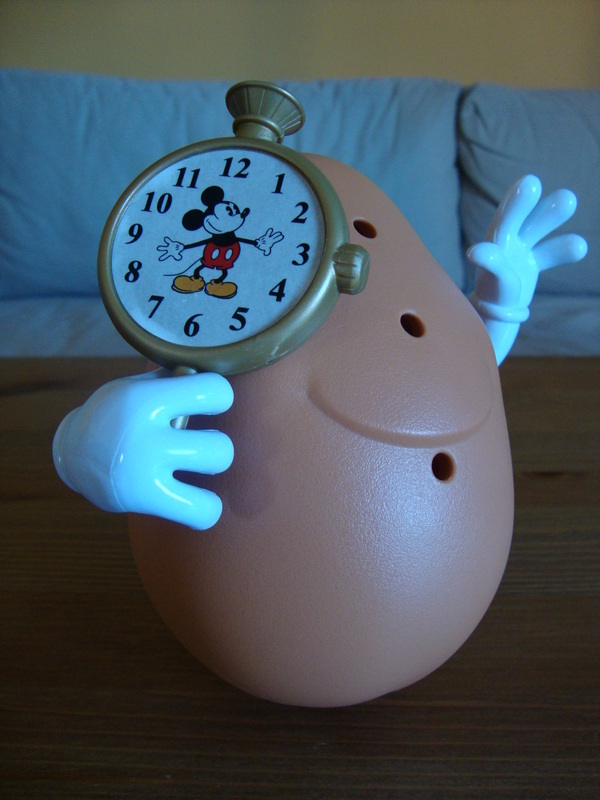 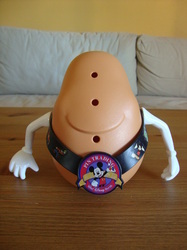 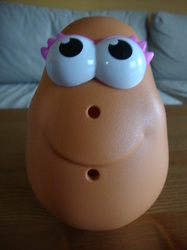 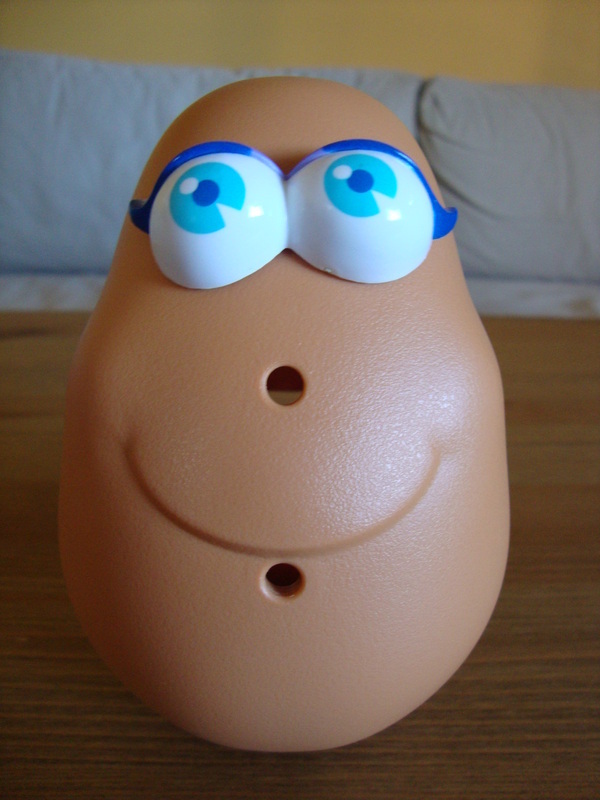 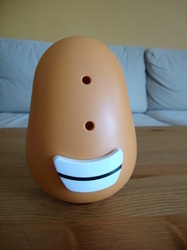 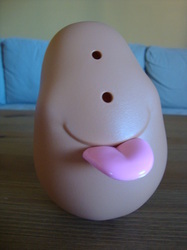 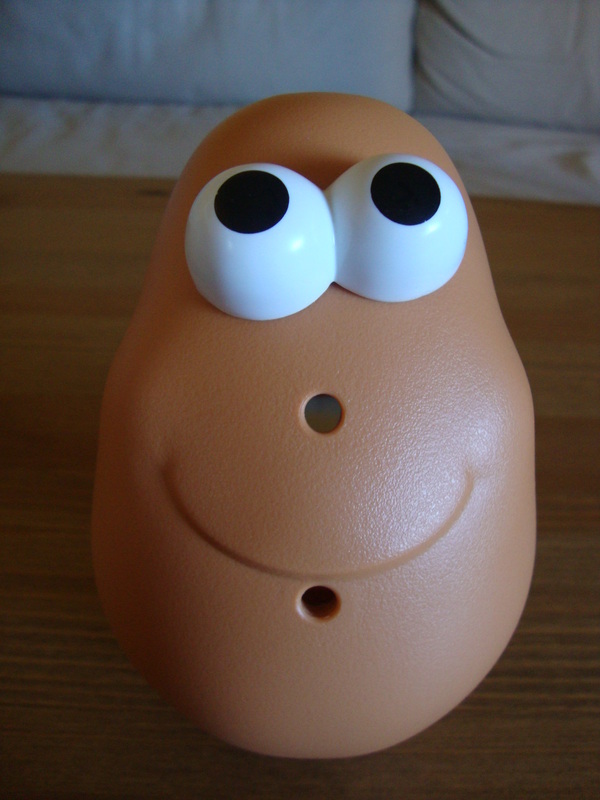 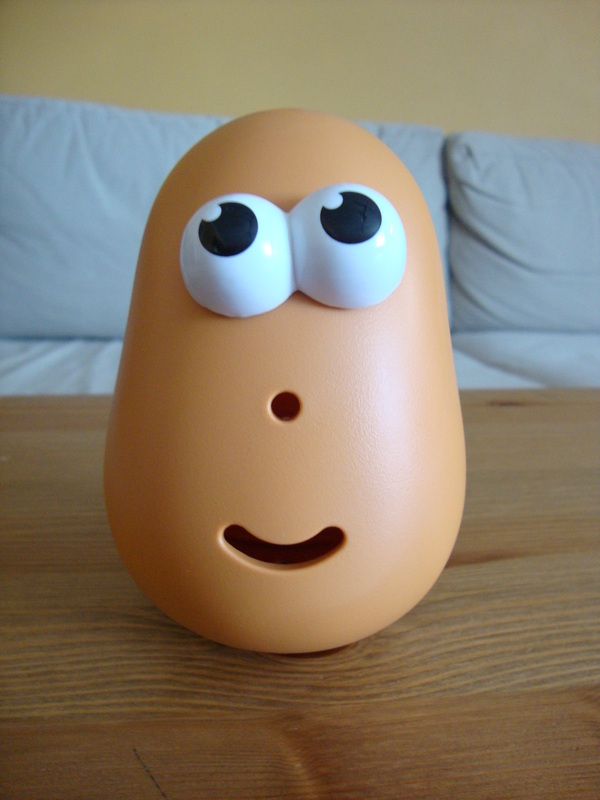 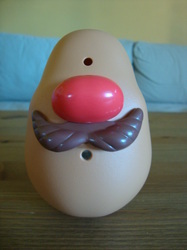 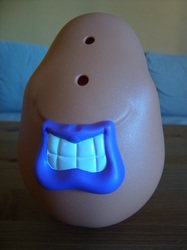 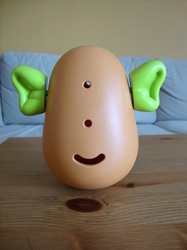 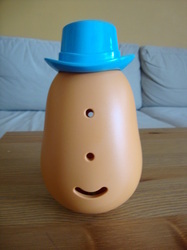 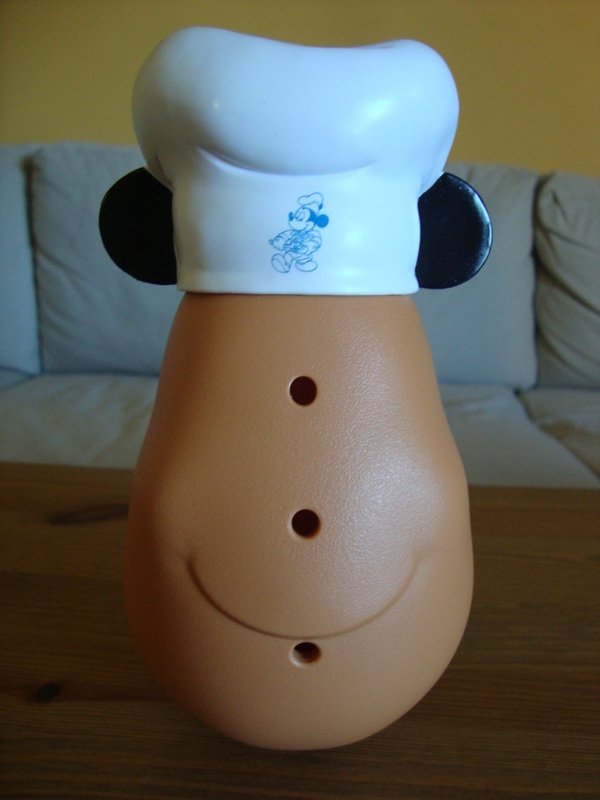 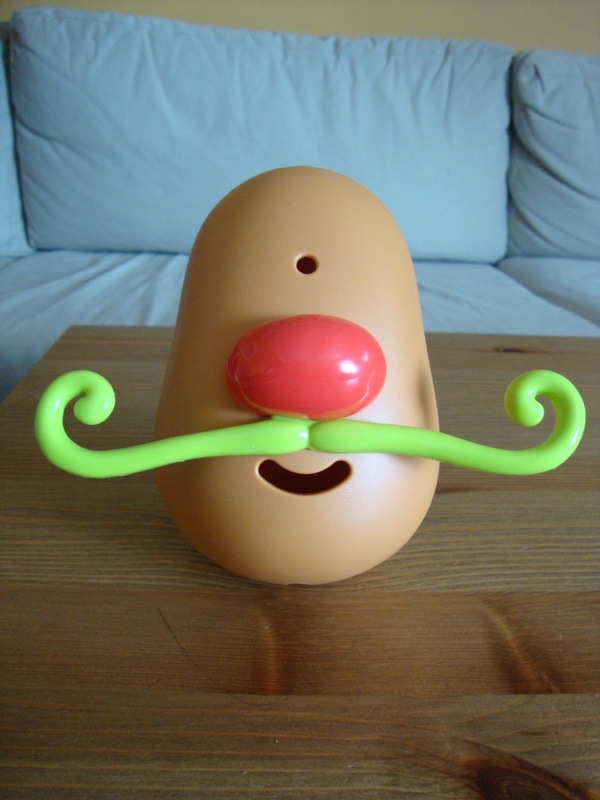 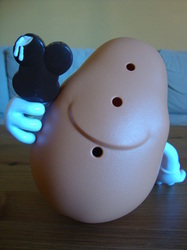 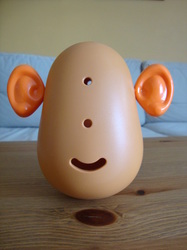 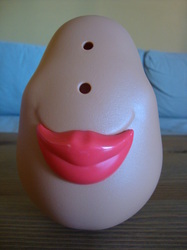 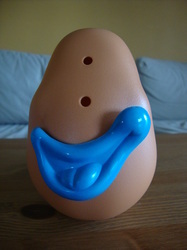 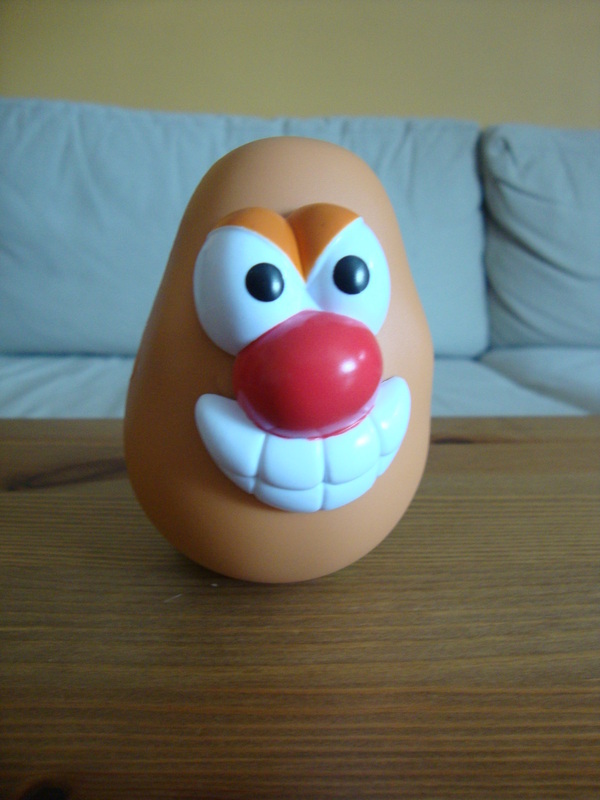 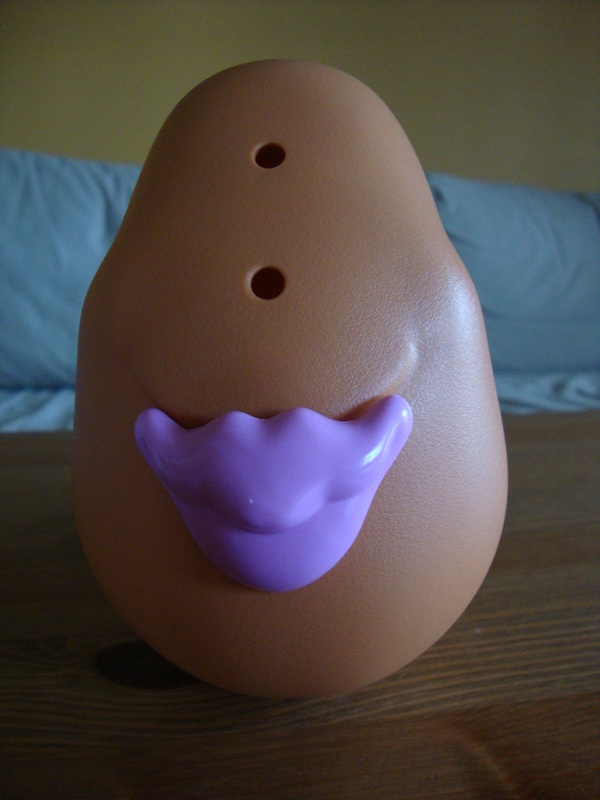 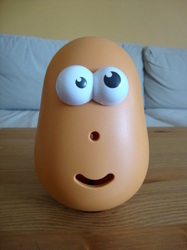 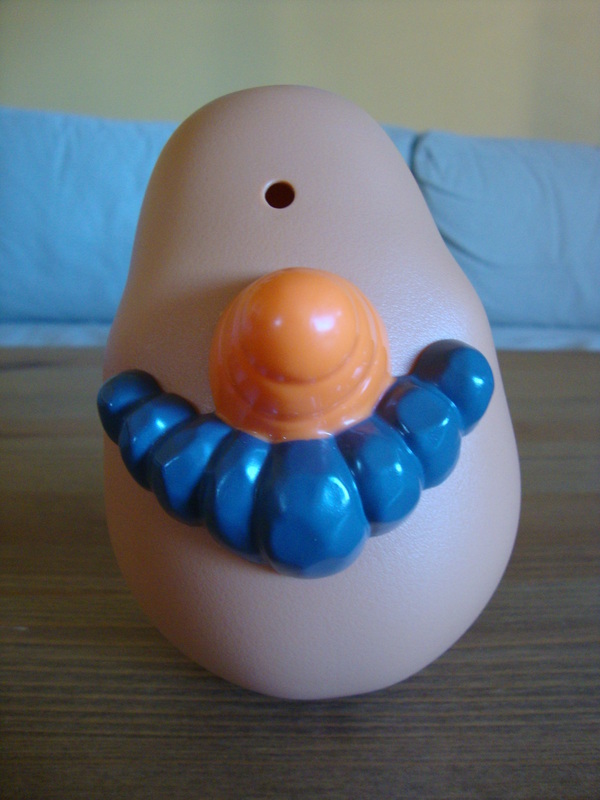 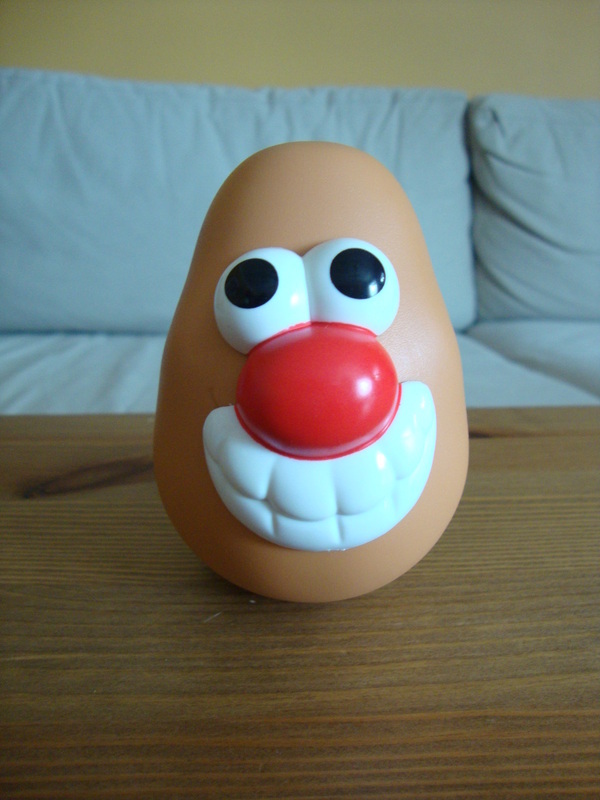 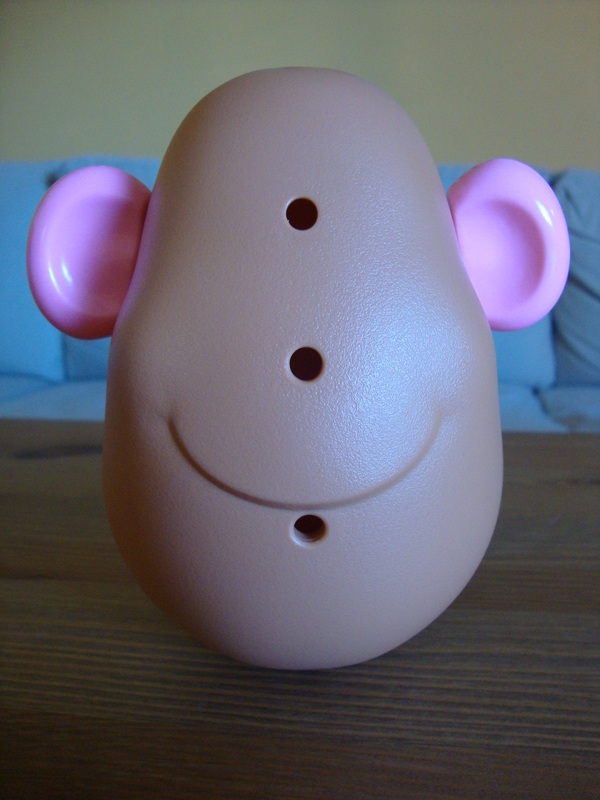 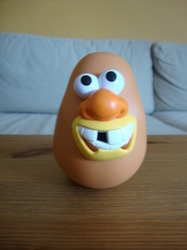 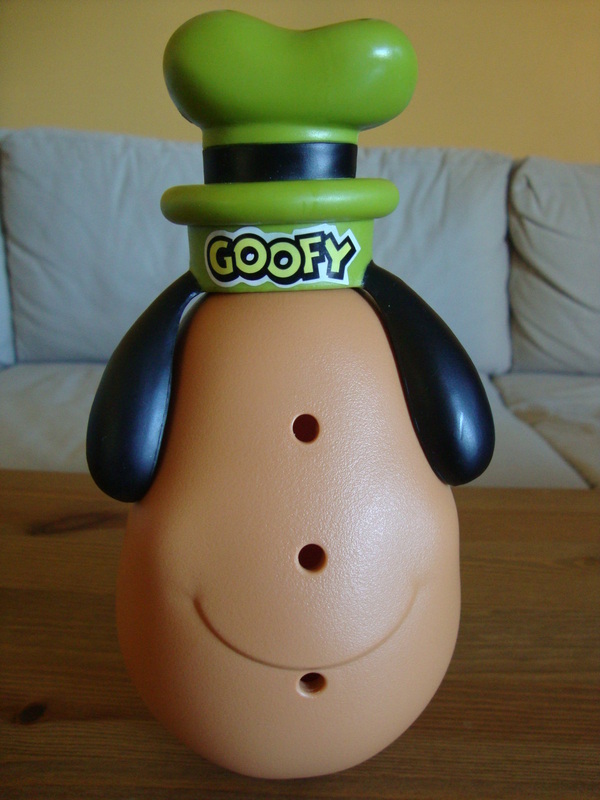 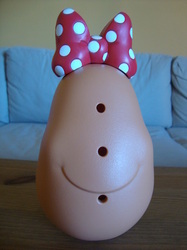 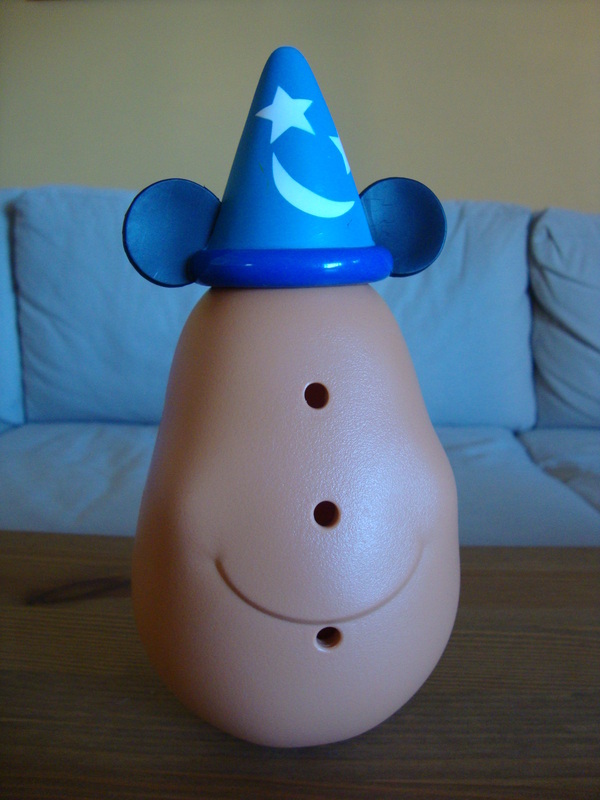 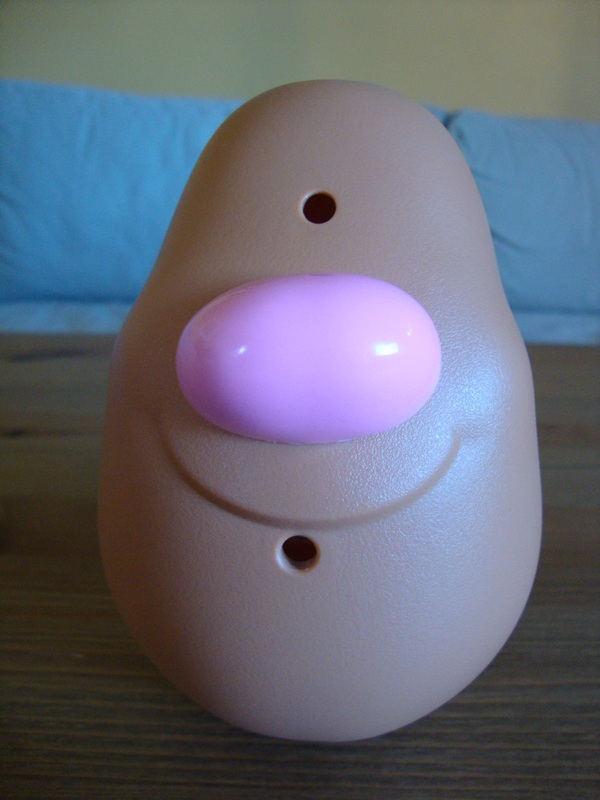 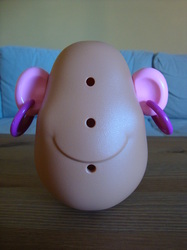 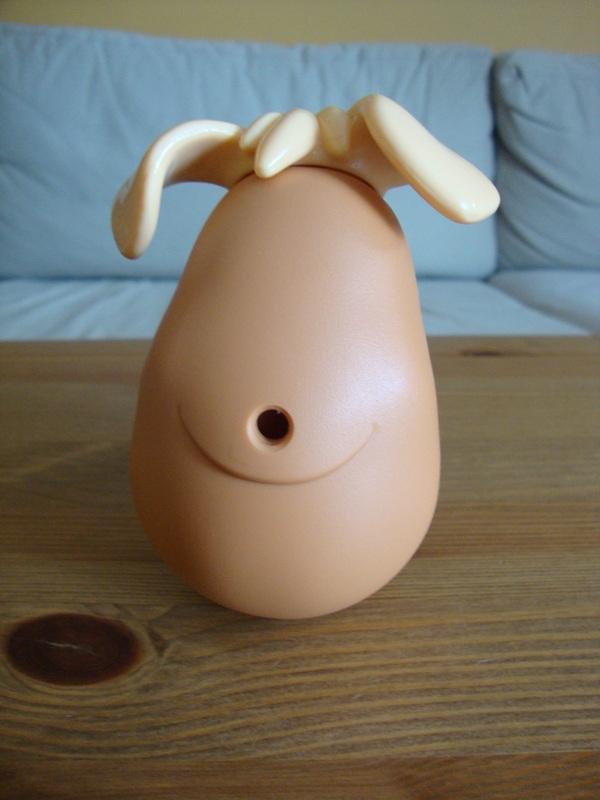 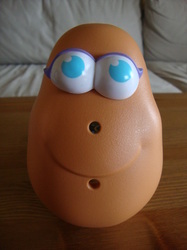 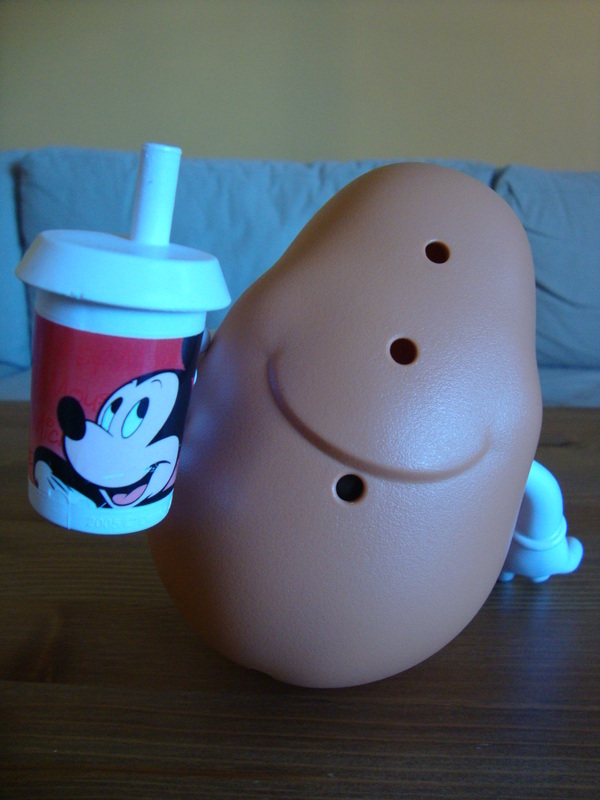 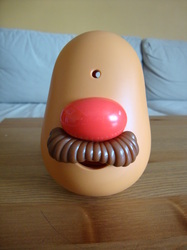 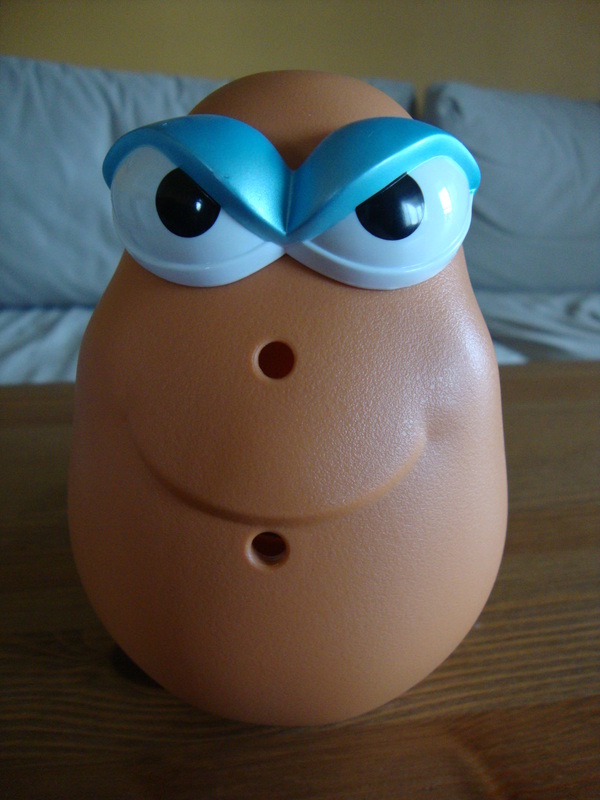 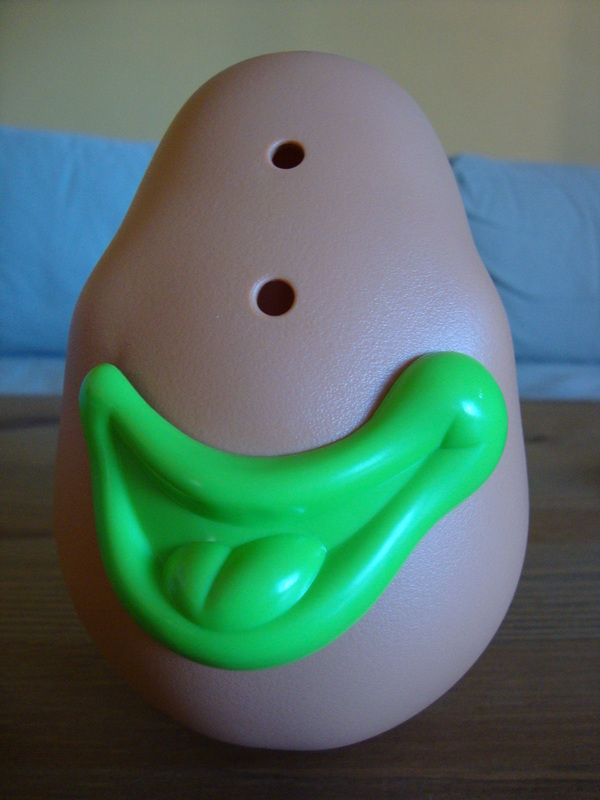 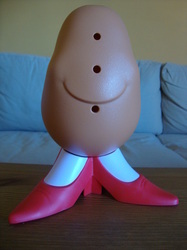 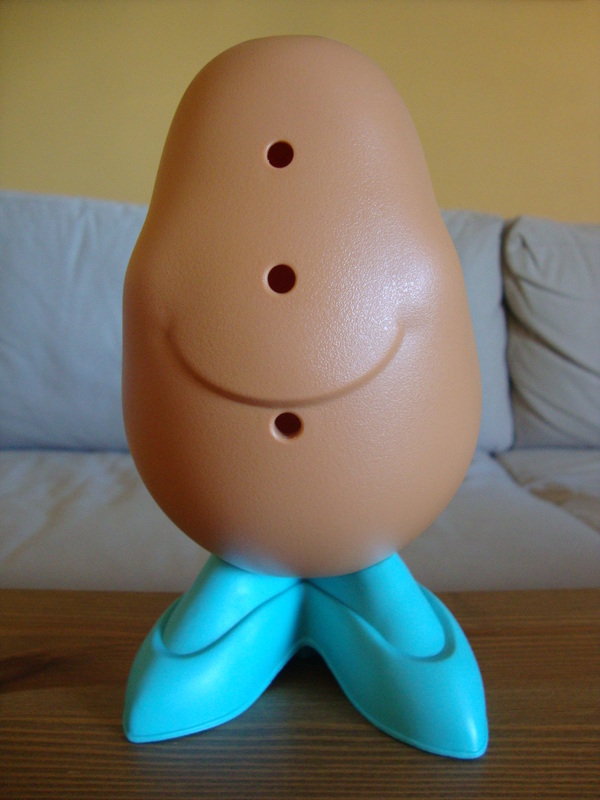 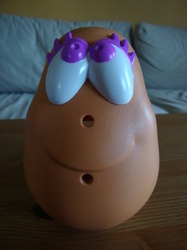 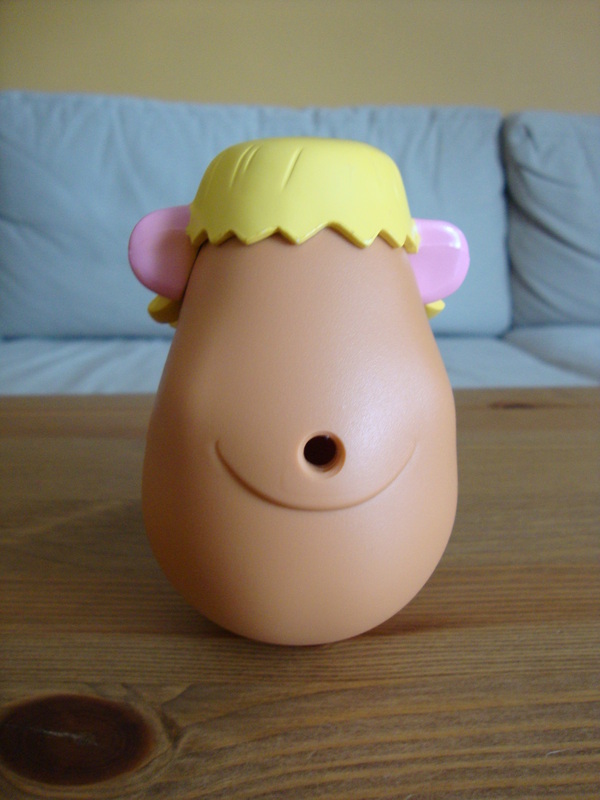 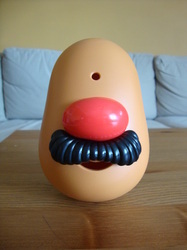 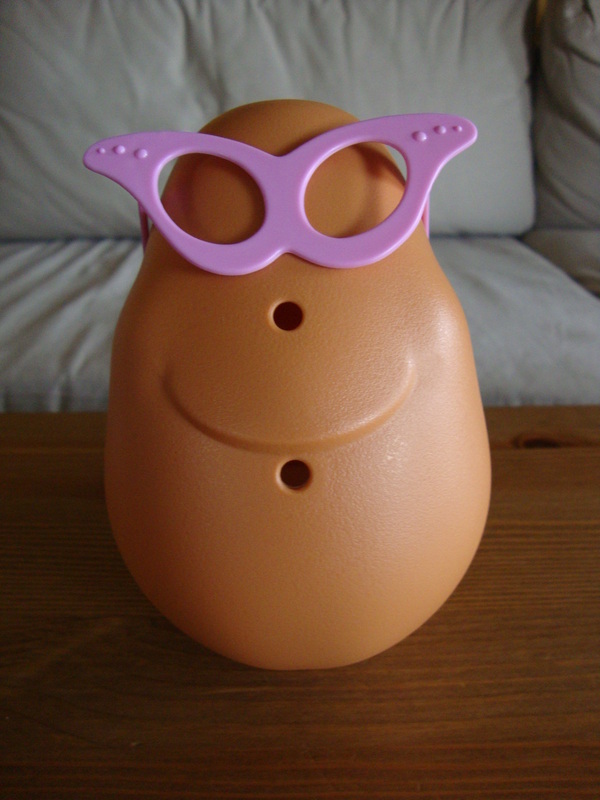 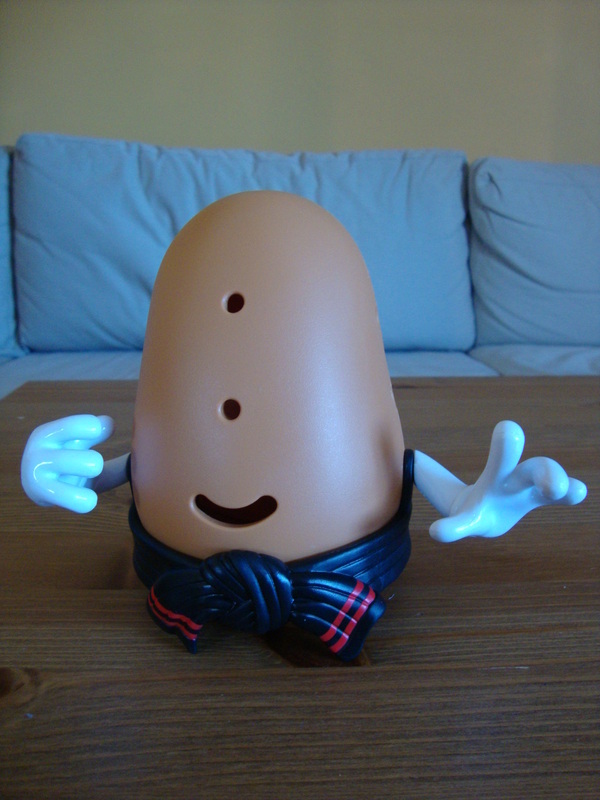 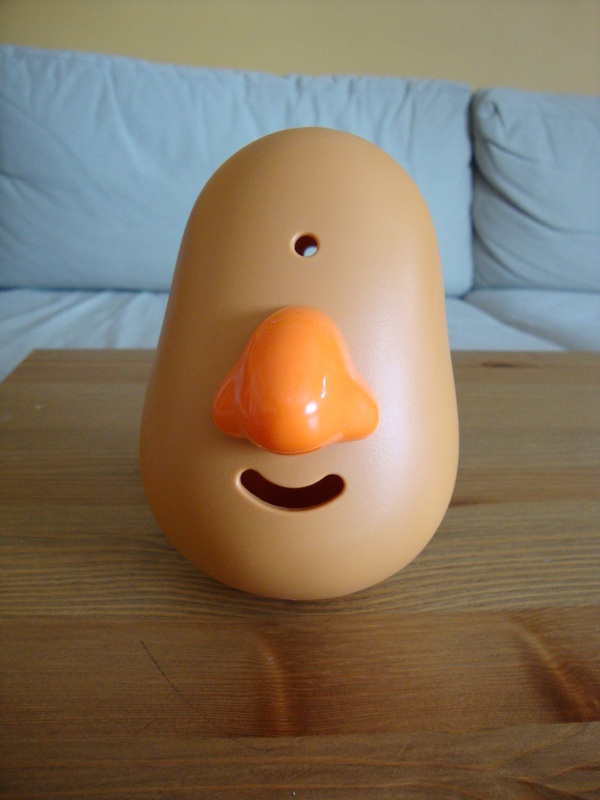 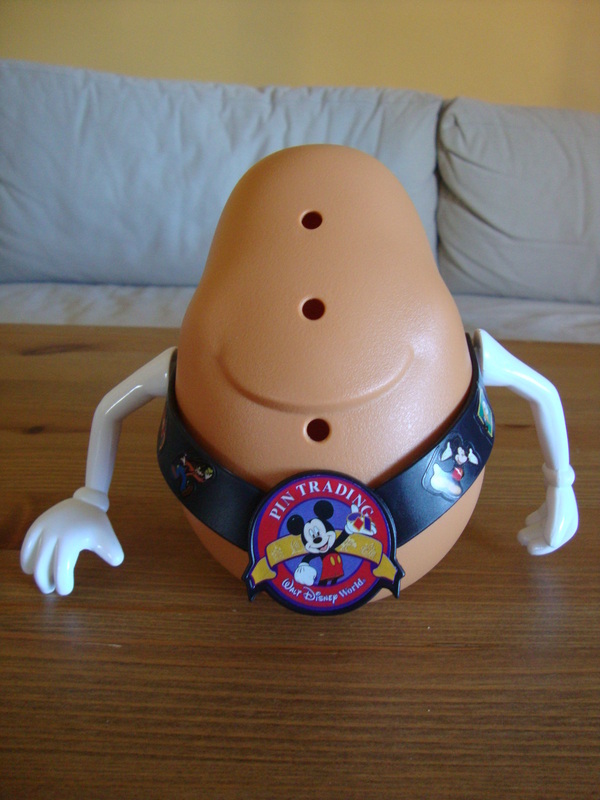 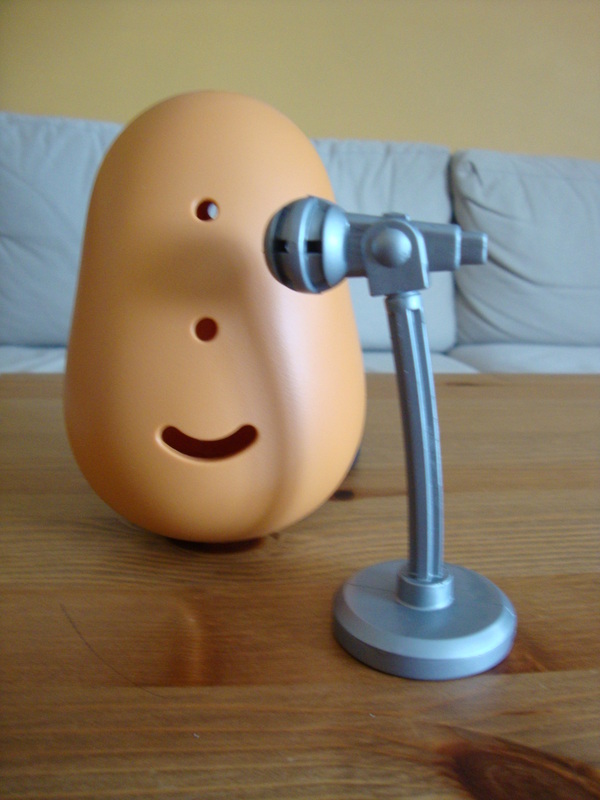 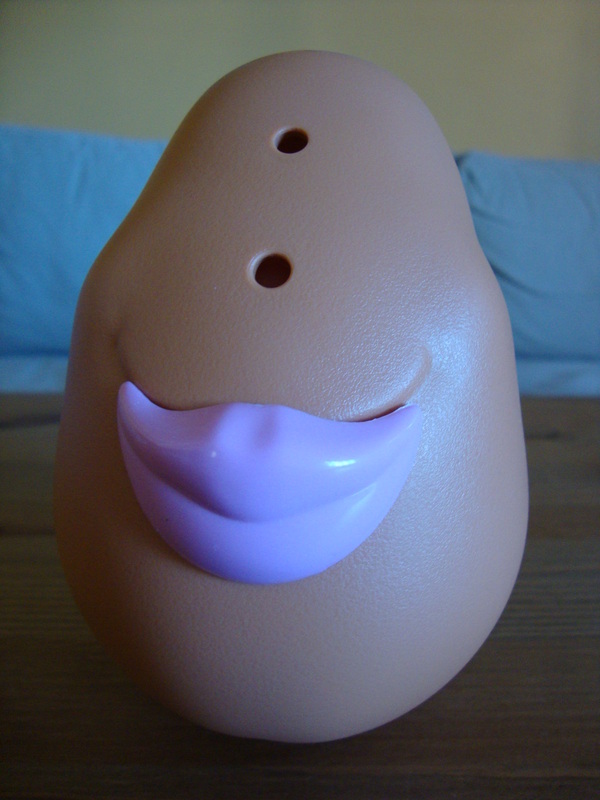 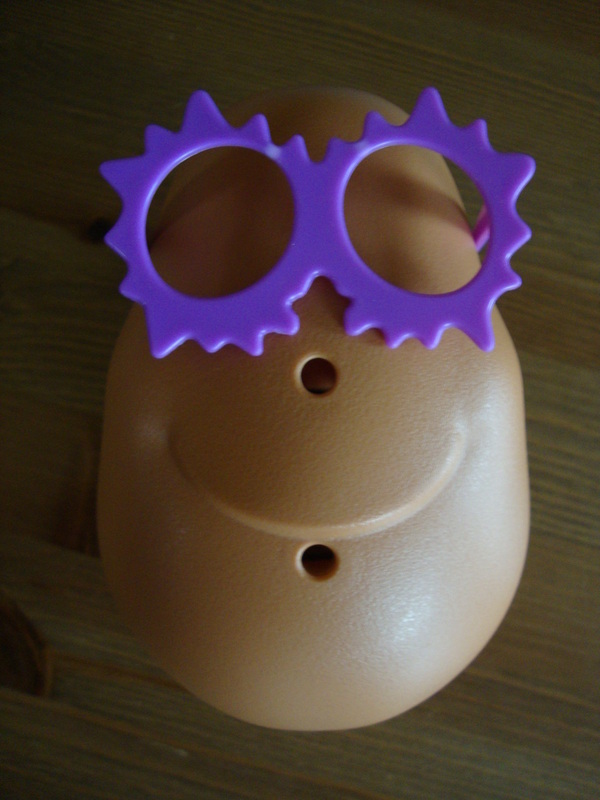 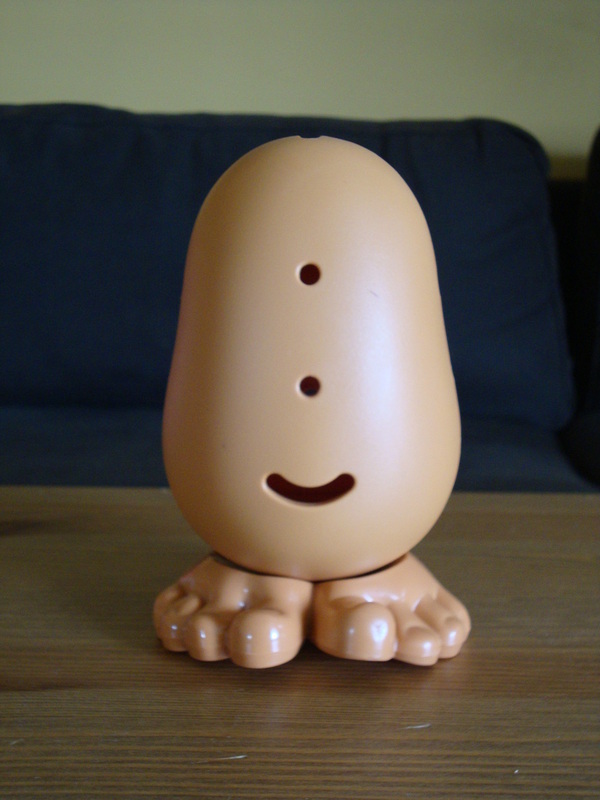 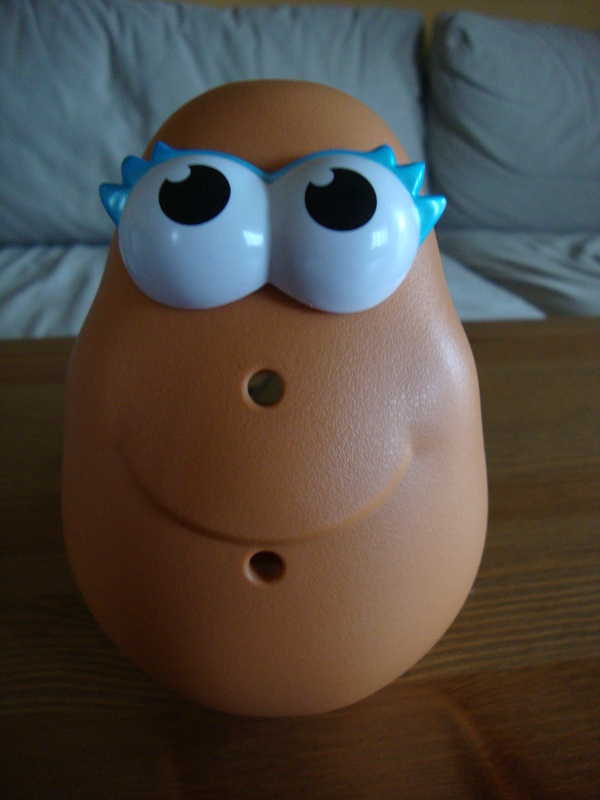 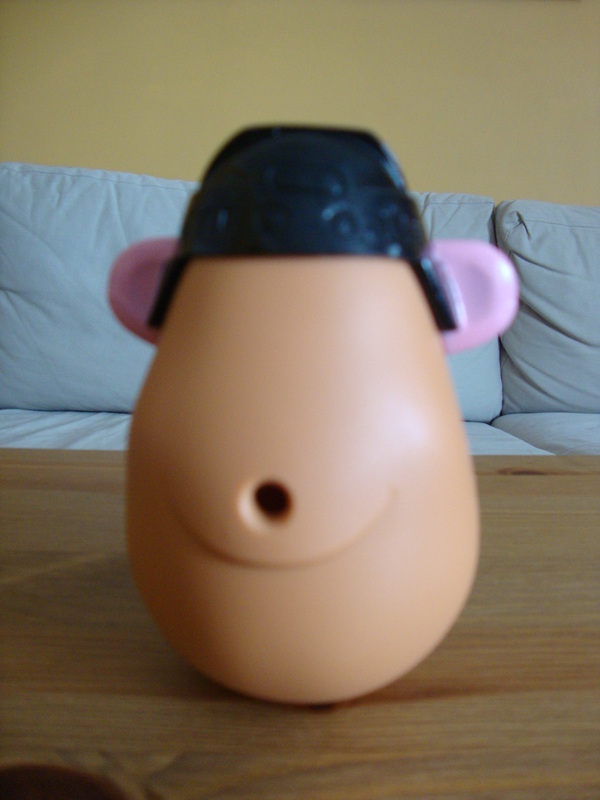 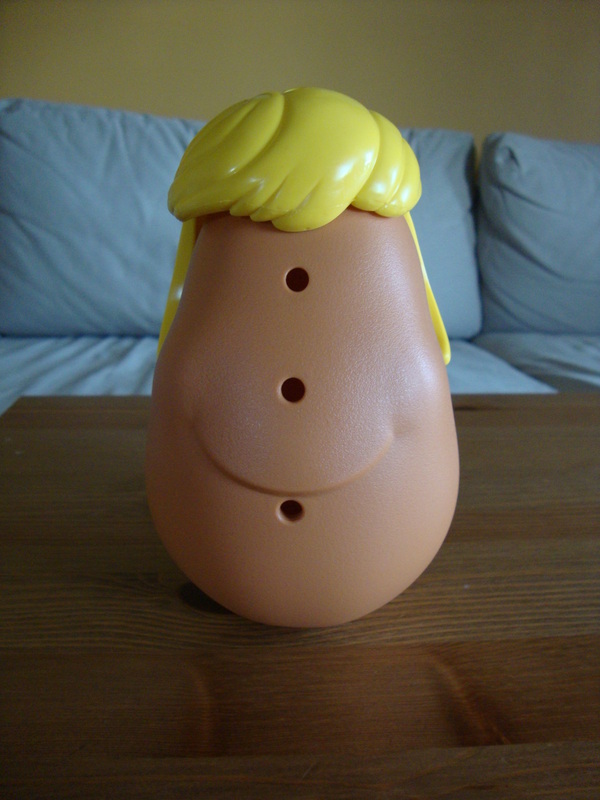 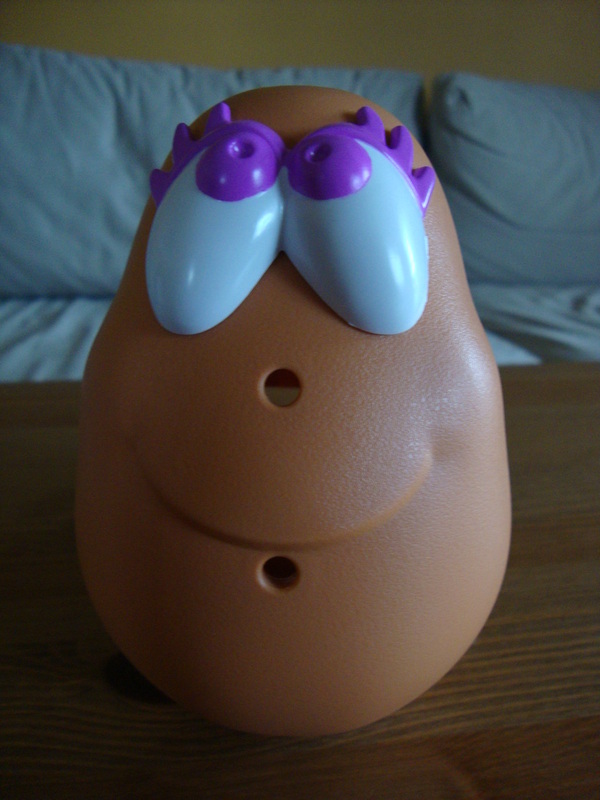 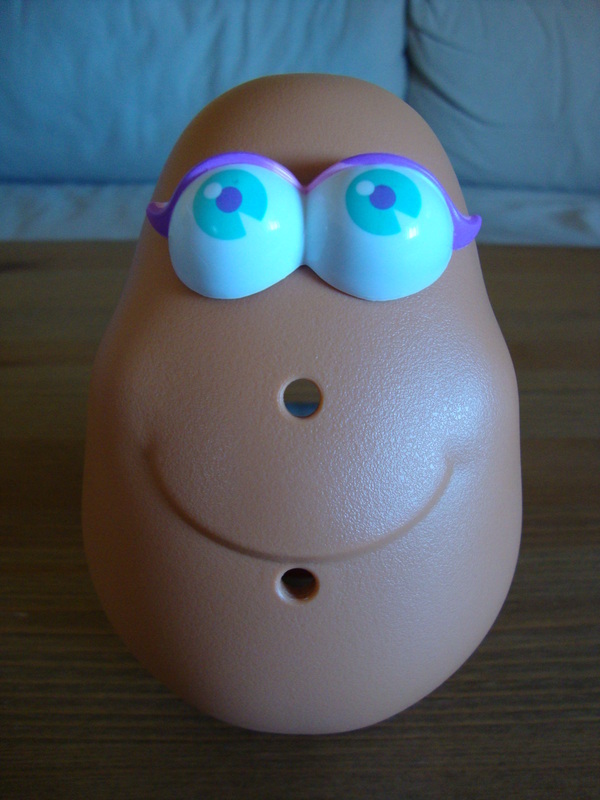 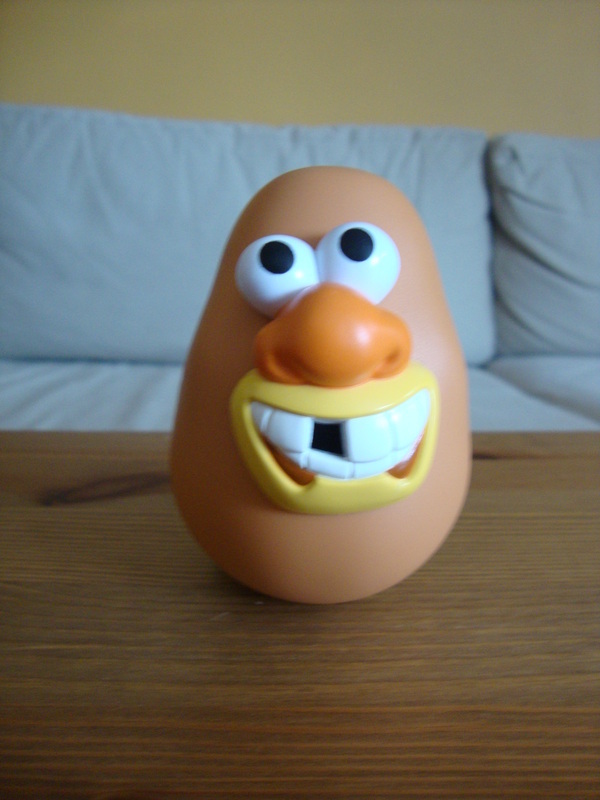 Potato Head was created by George Lerner in 1949 and first distributed by Hasbro in 1952. 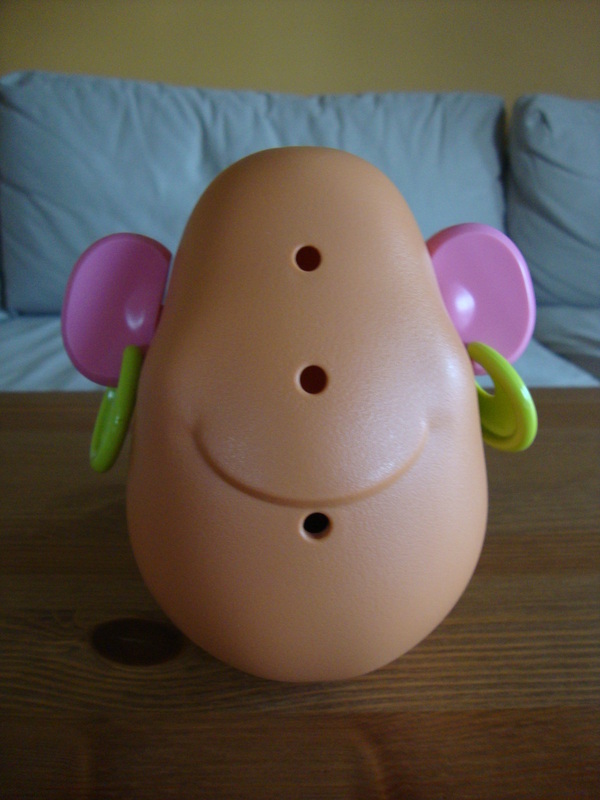 Originally, Mr. 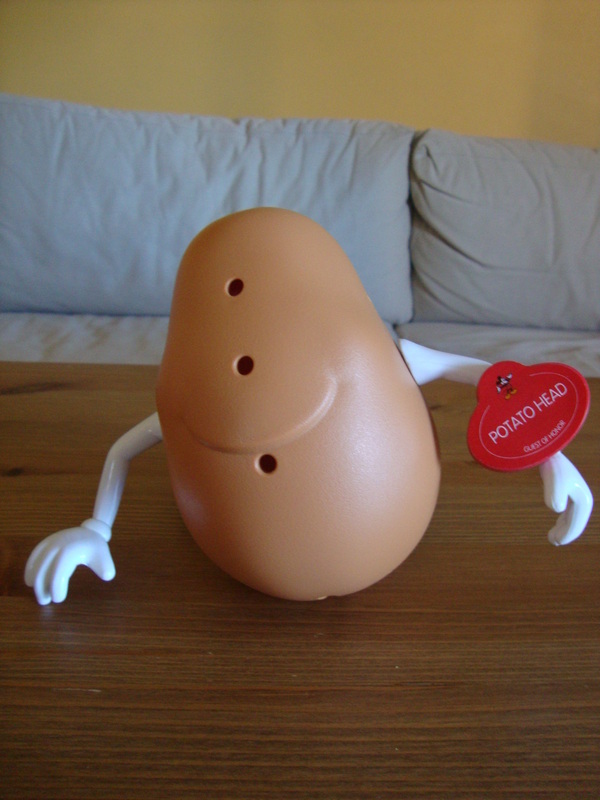 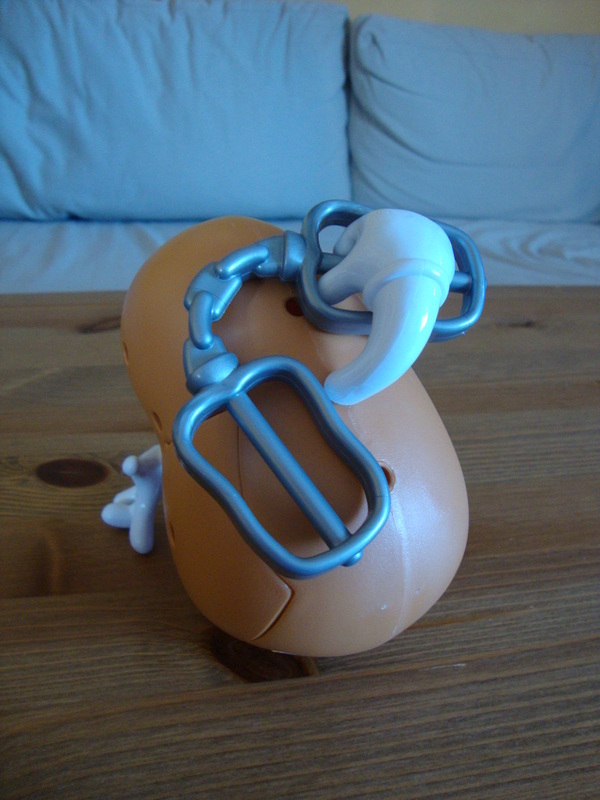 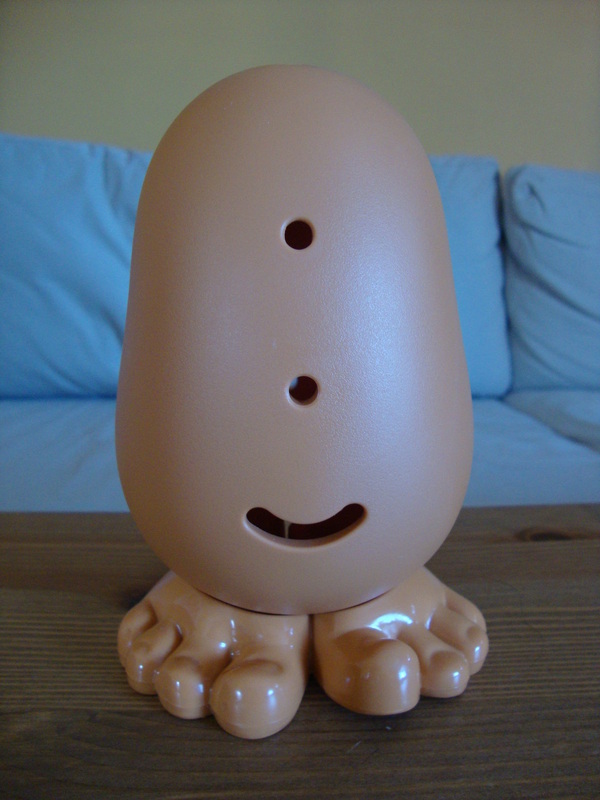 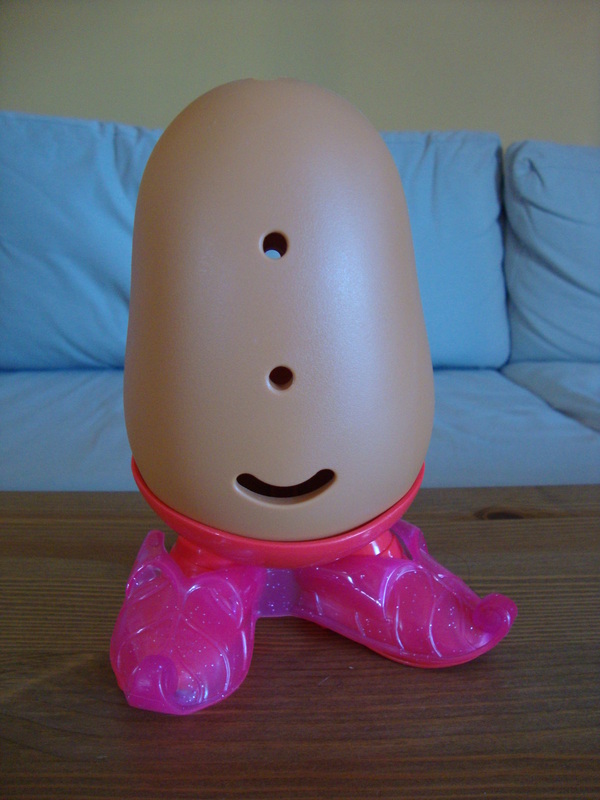 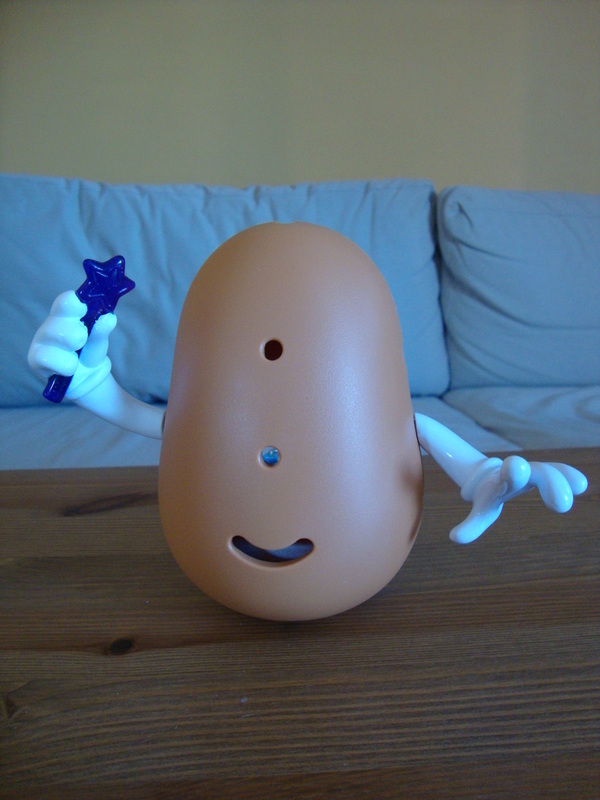 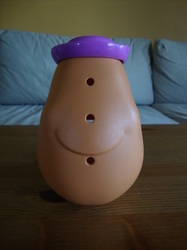 Potato Head kits included only the body parts, and his owners had to use a real potato as the body in which to stick their pieces. 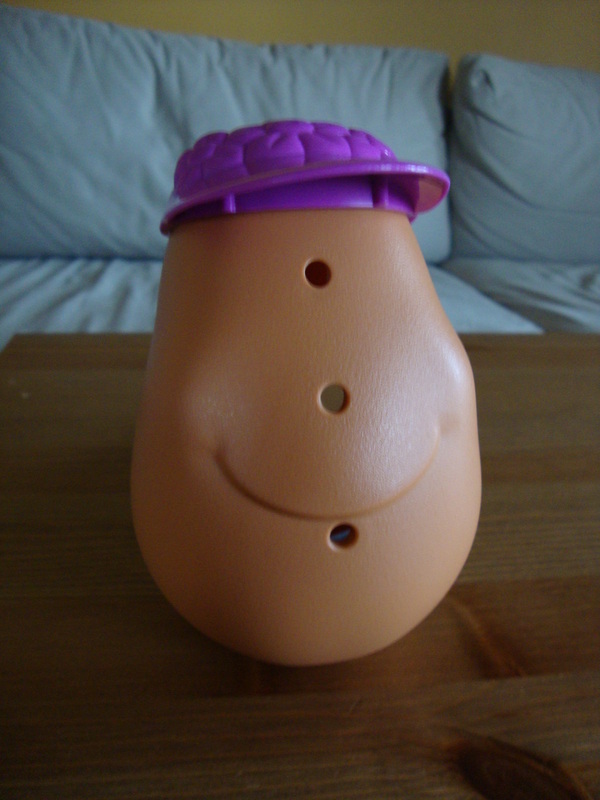 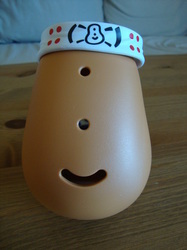 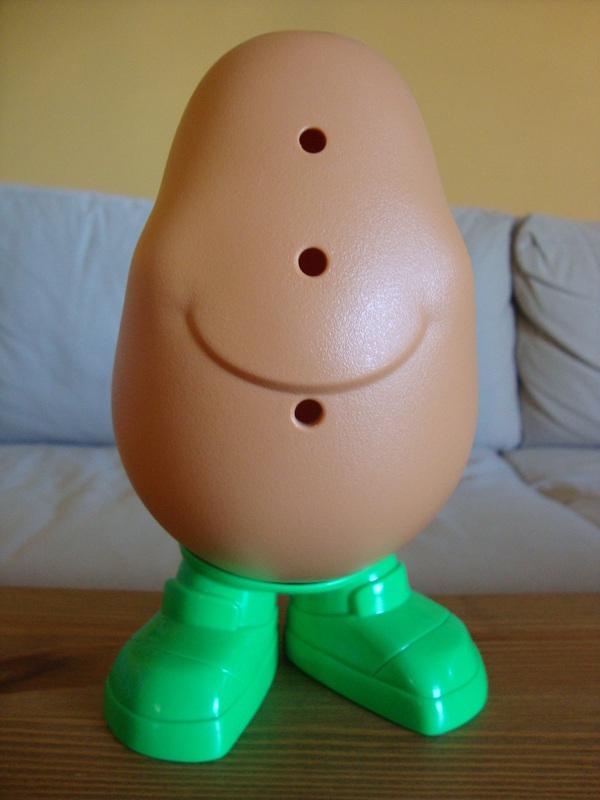 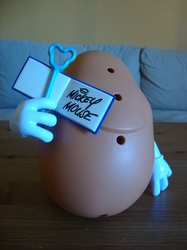 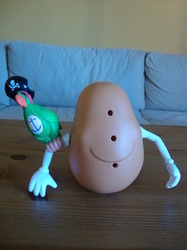 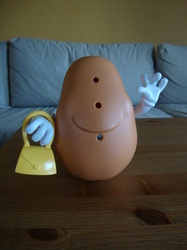 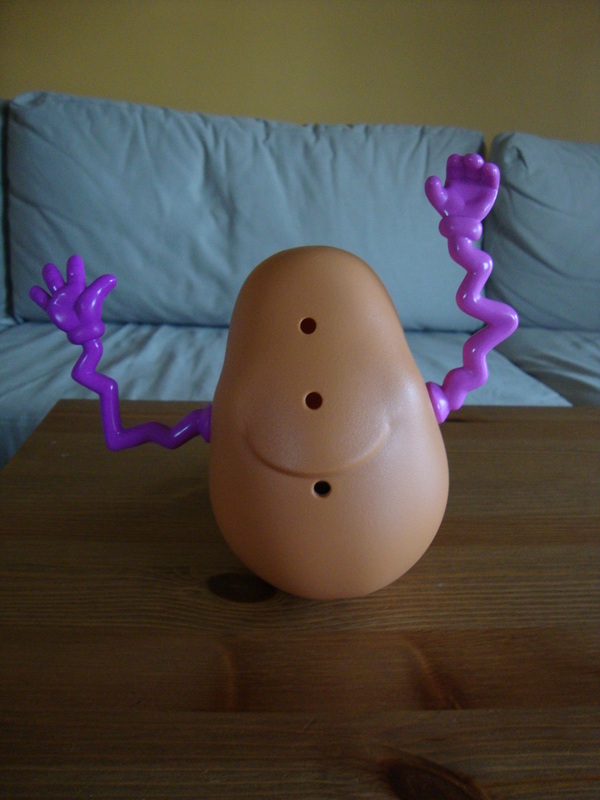 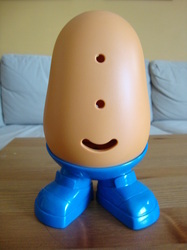 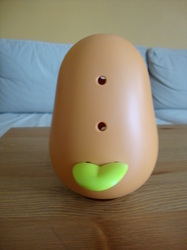 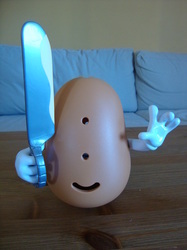 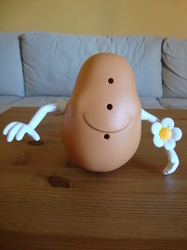 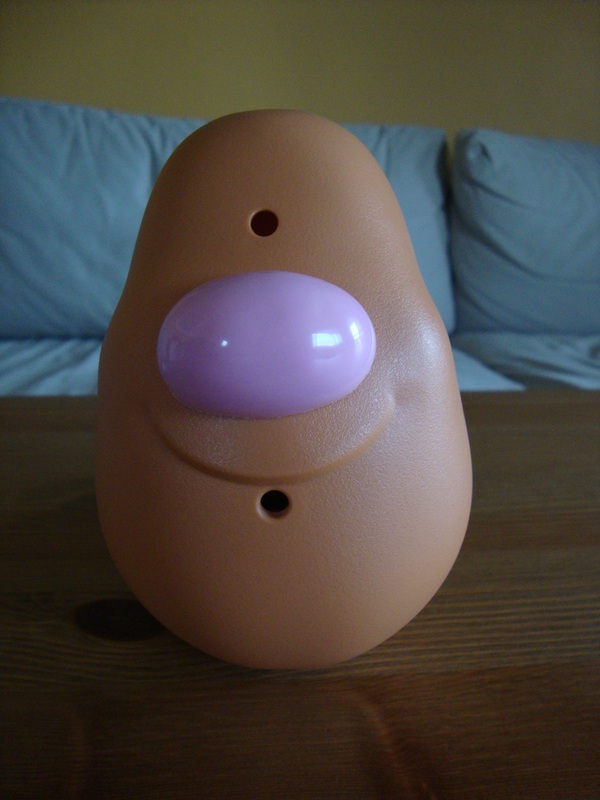 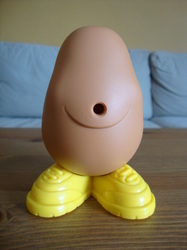 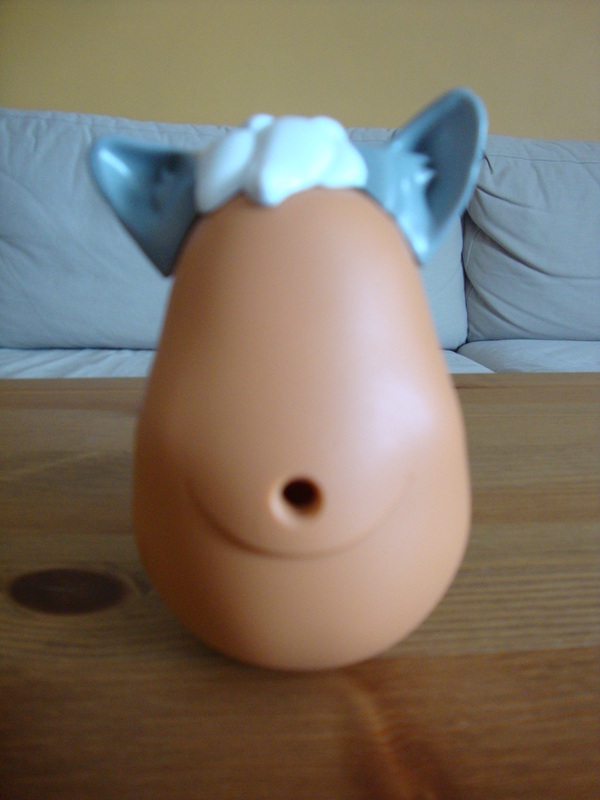 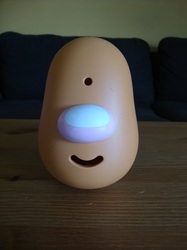 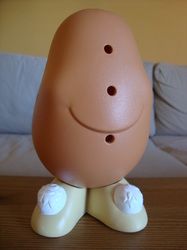 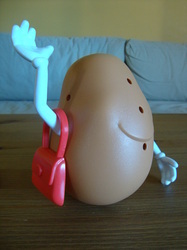 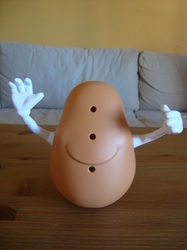 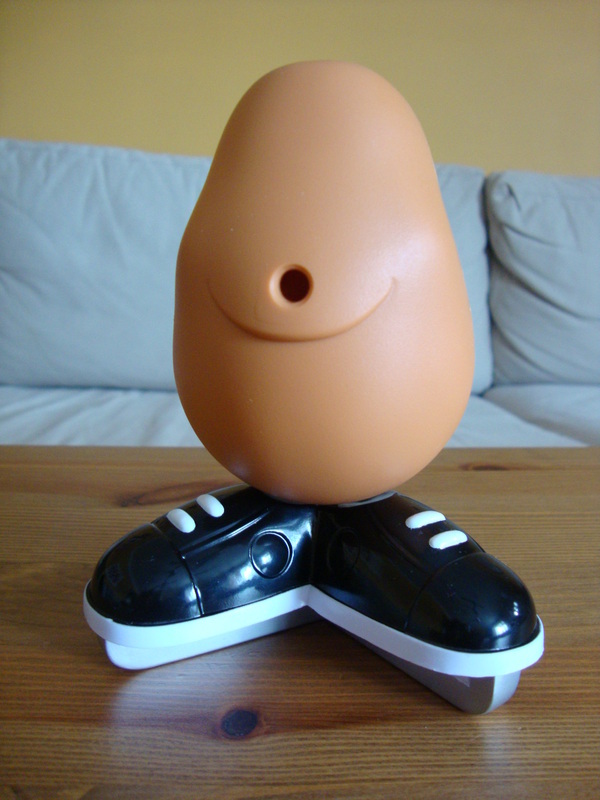 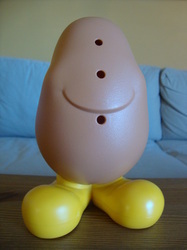 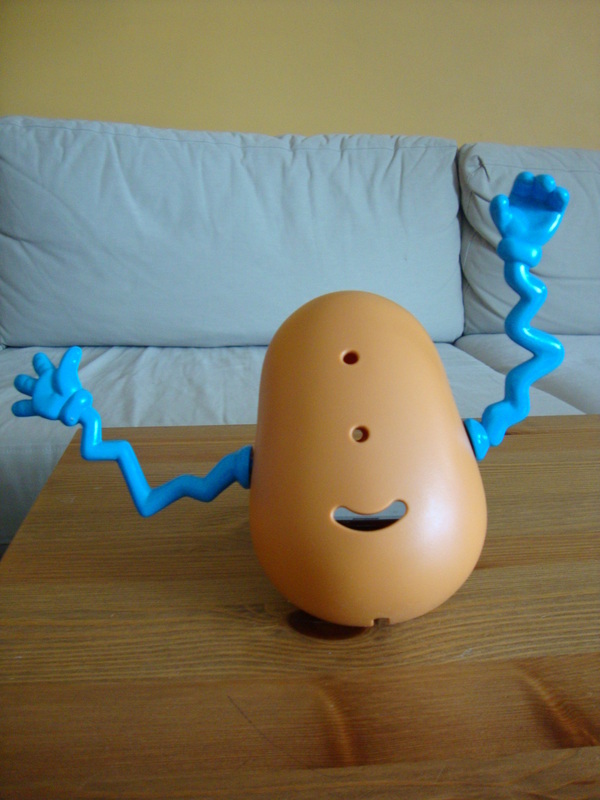 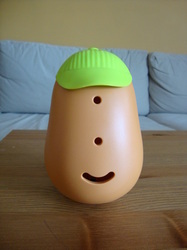 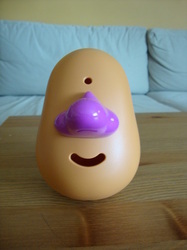 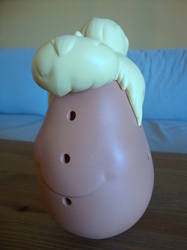 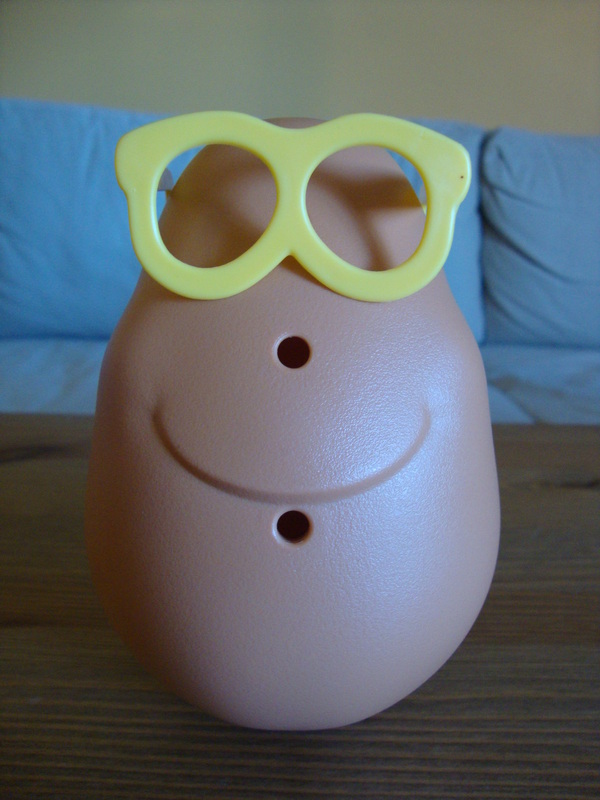 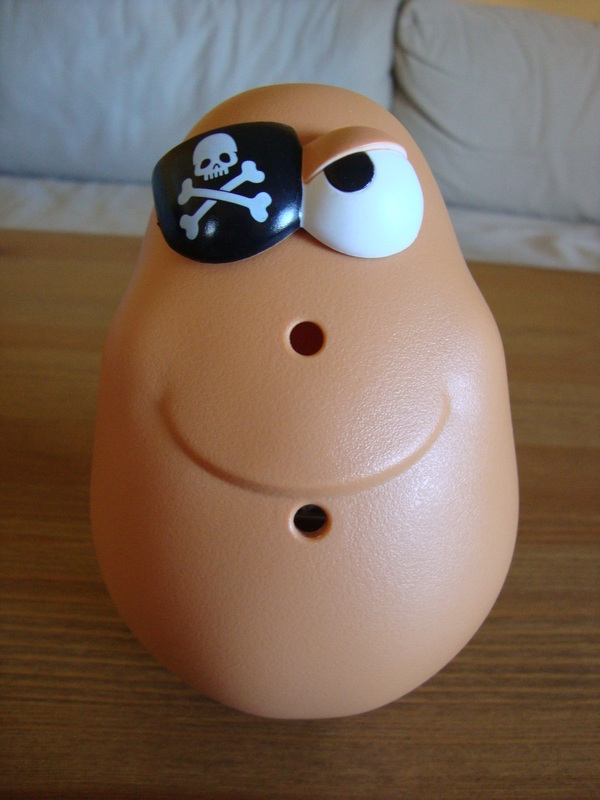 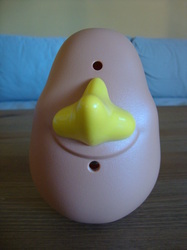 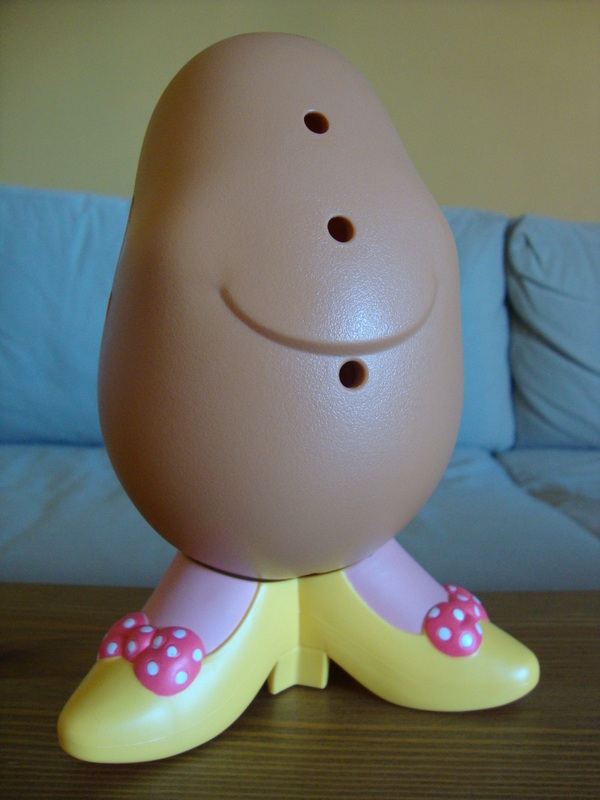 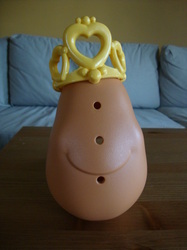 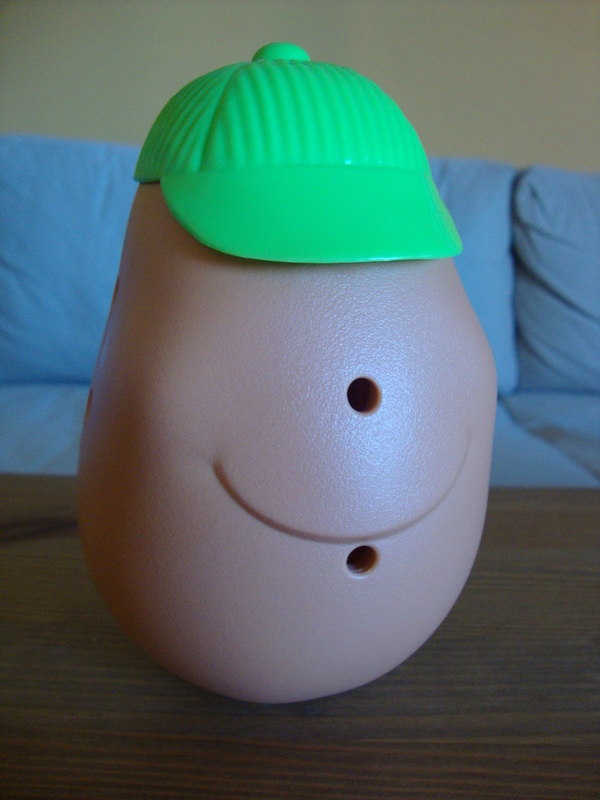 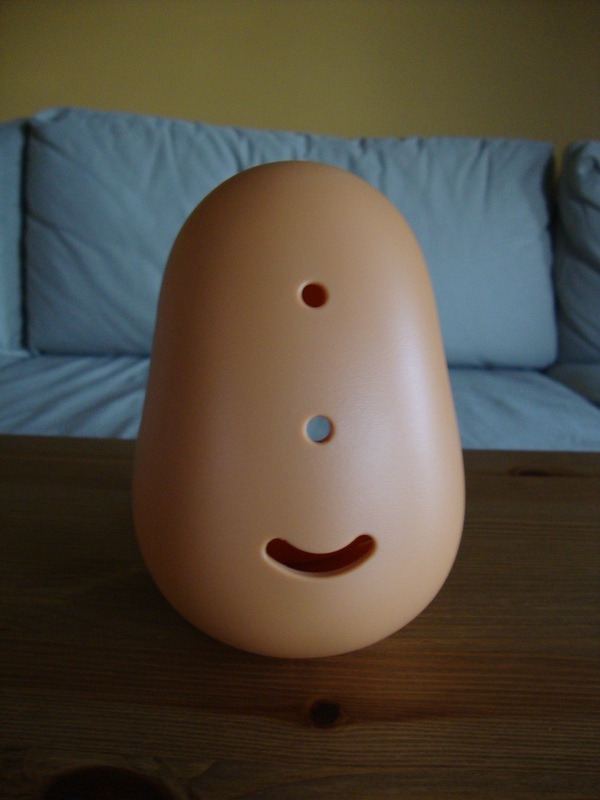 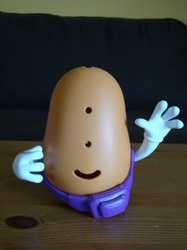 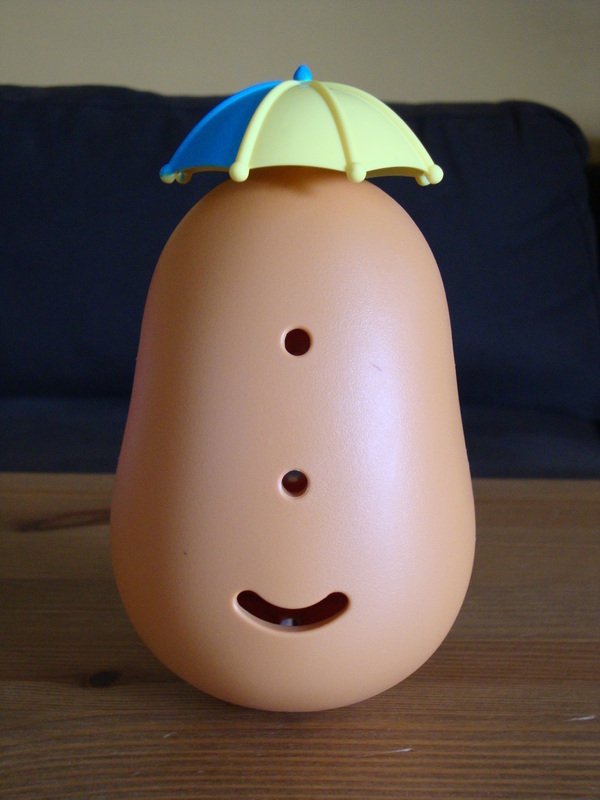 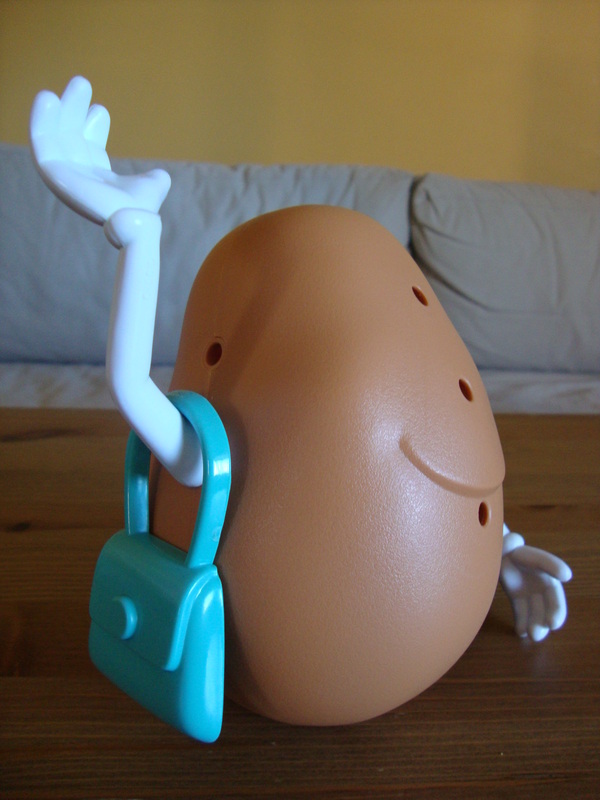 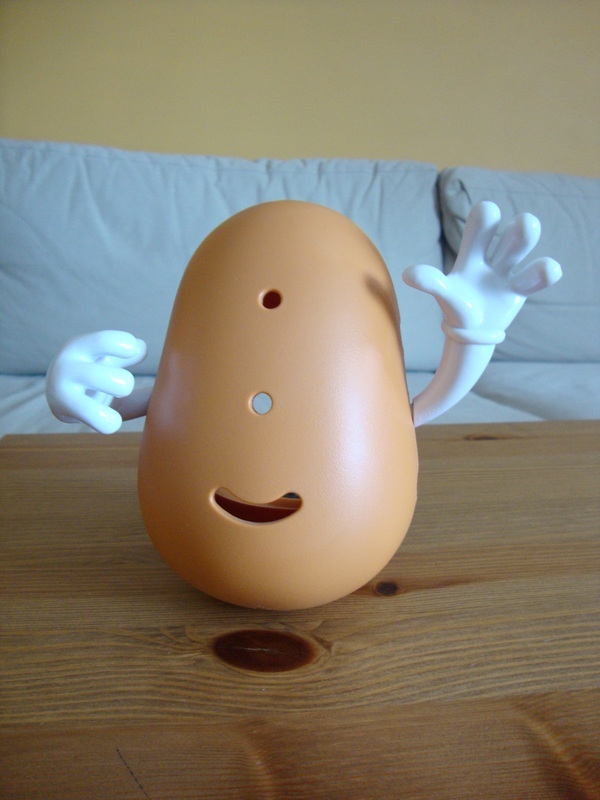 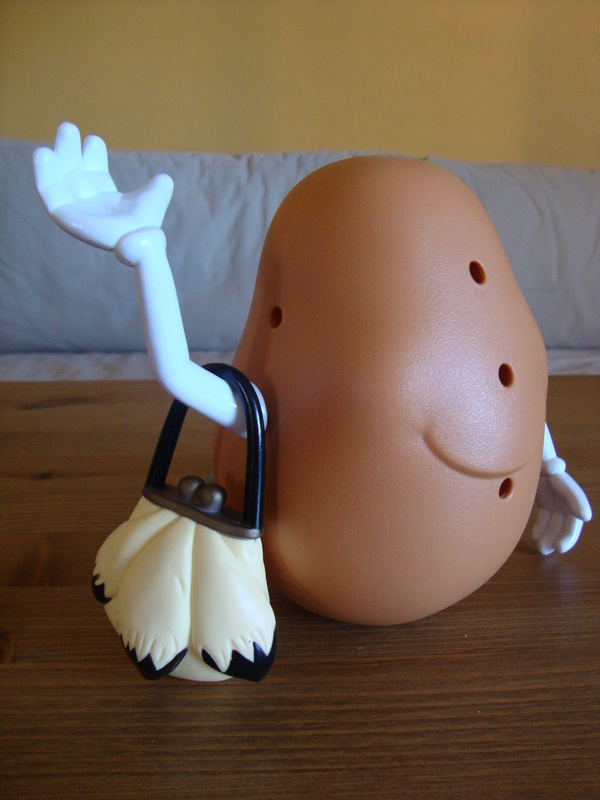 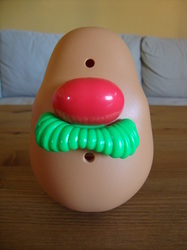 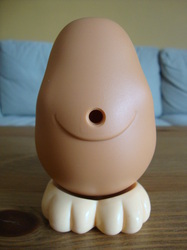 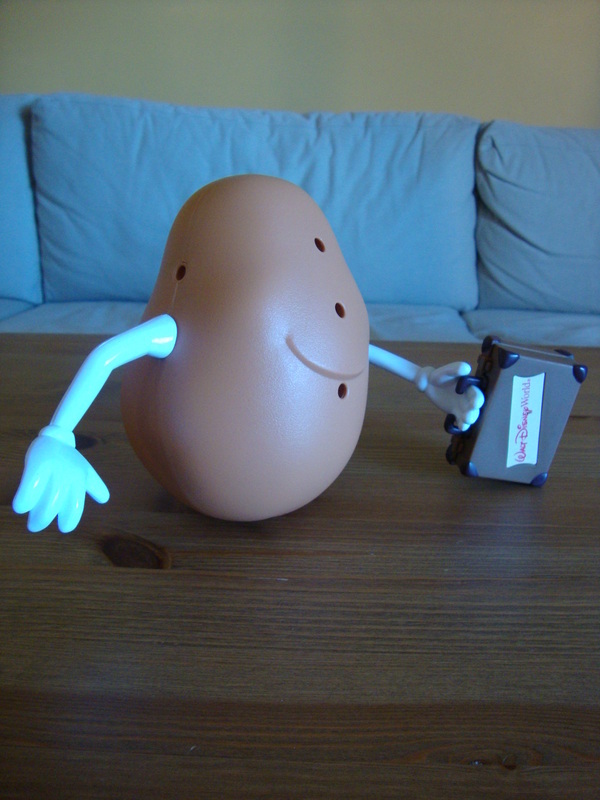 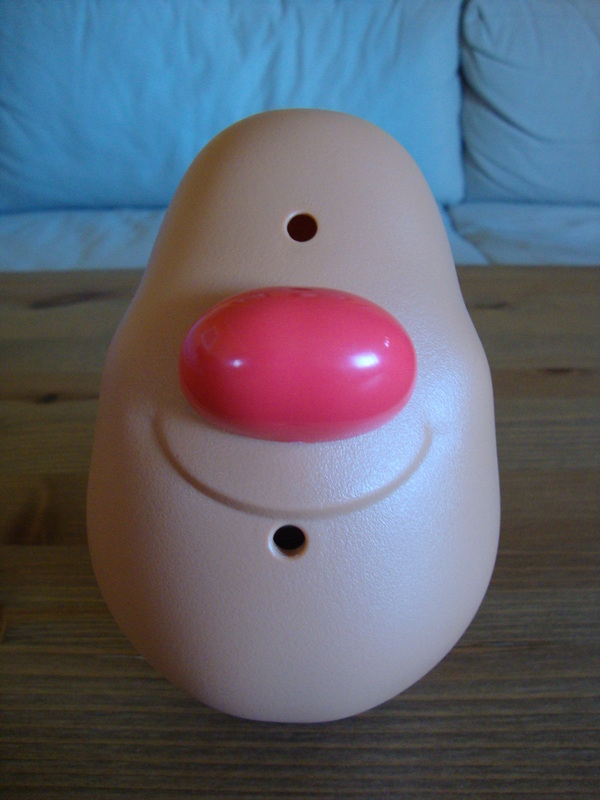 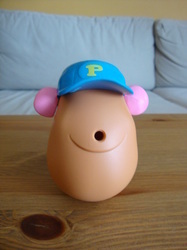 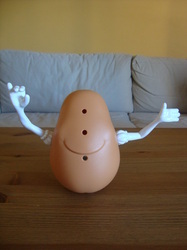 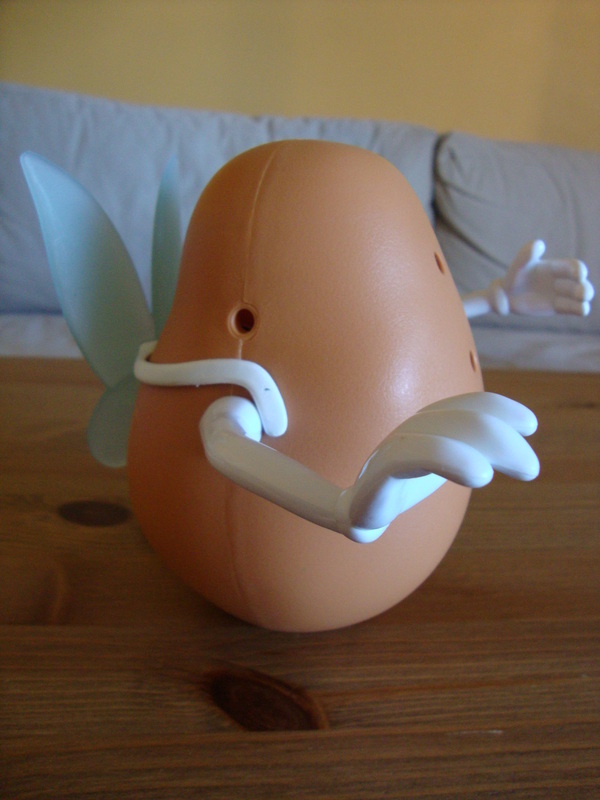 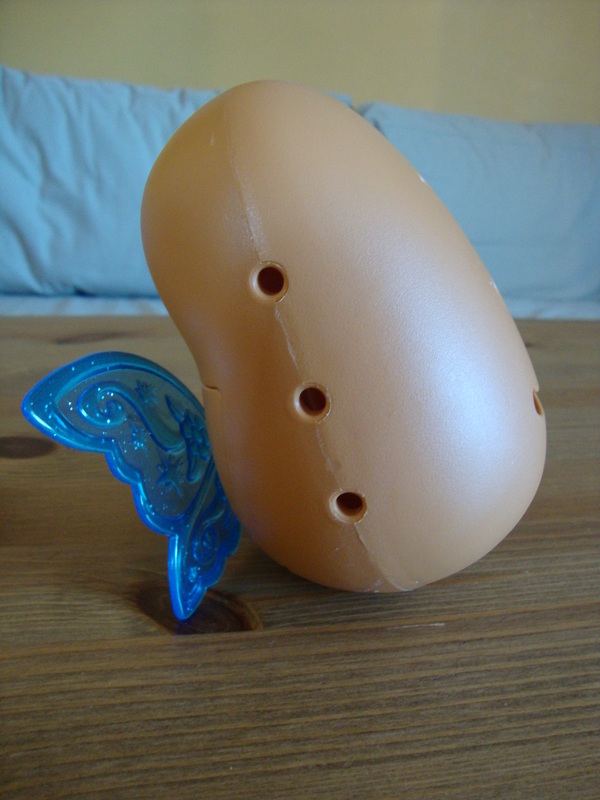 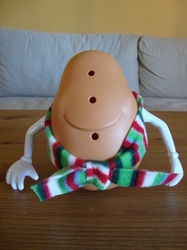 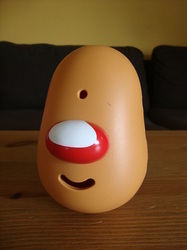 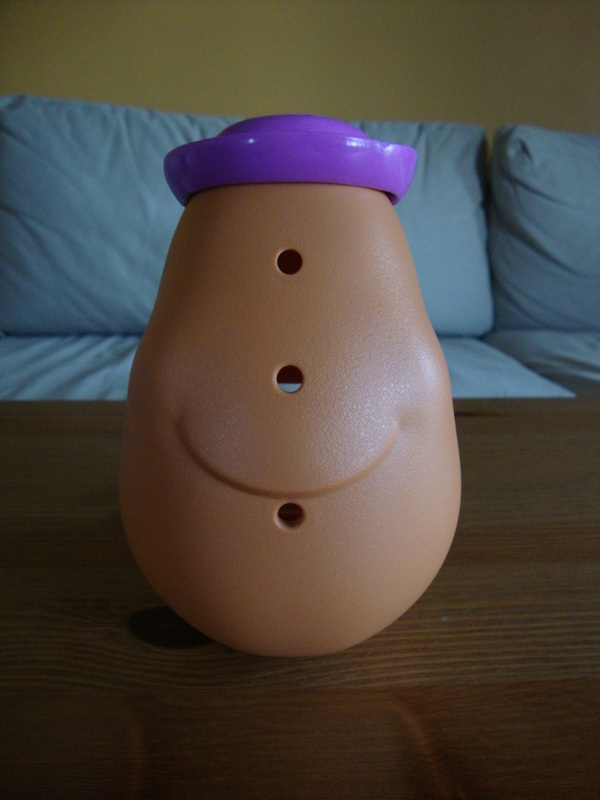 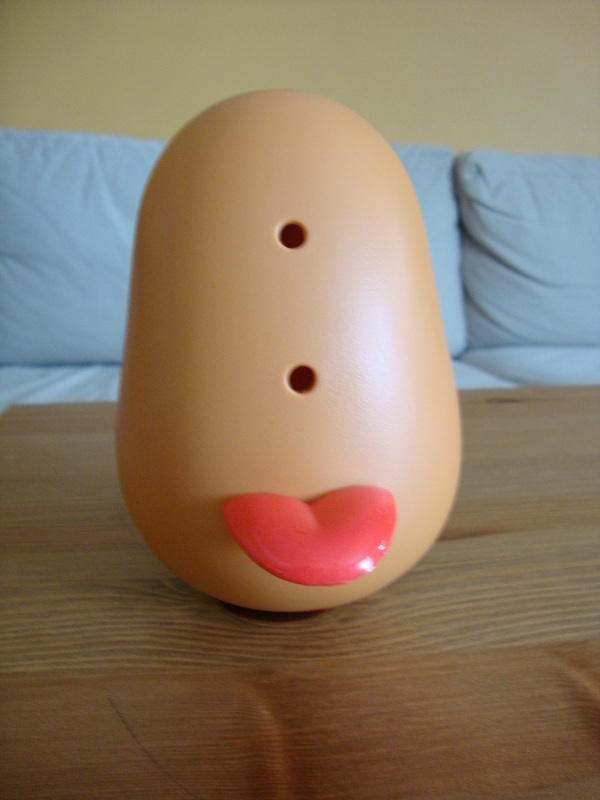 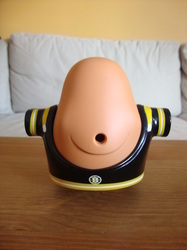 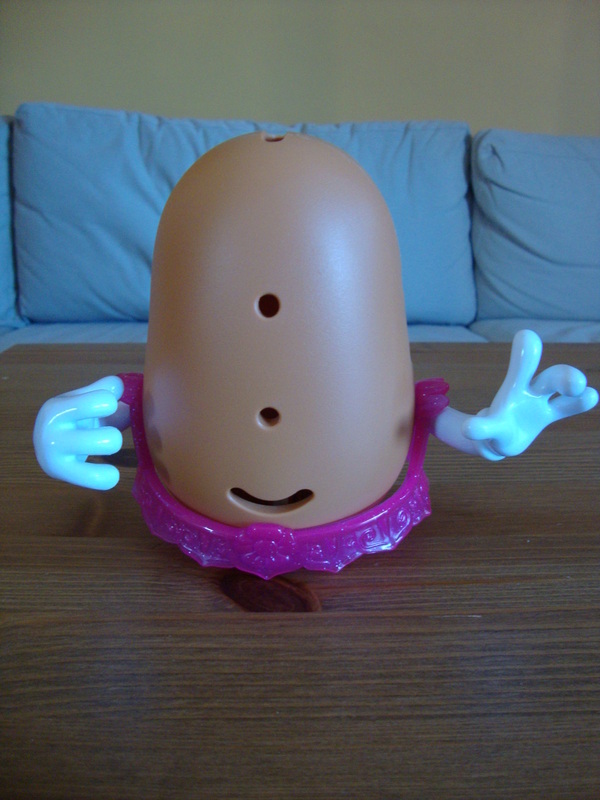 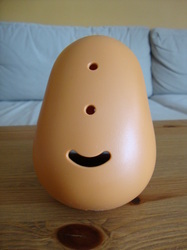 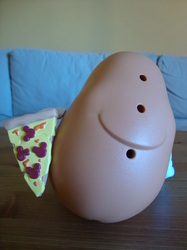 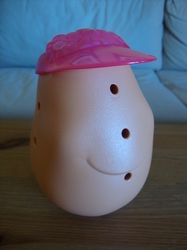 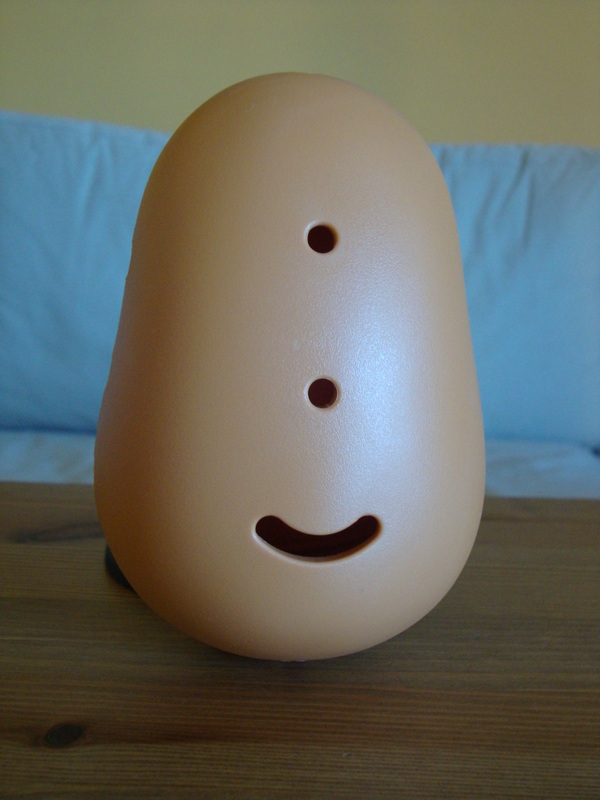 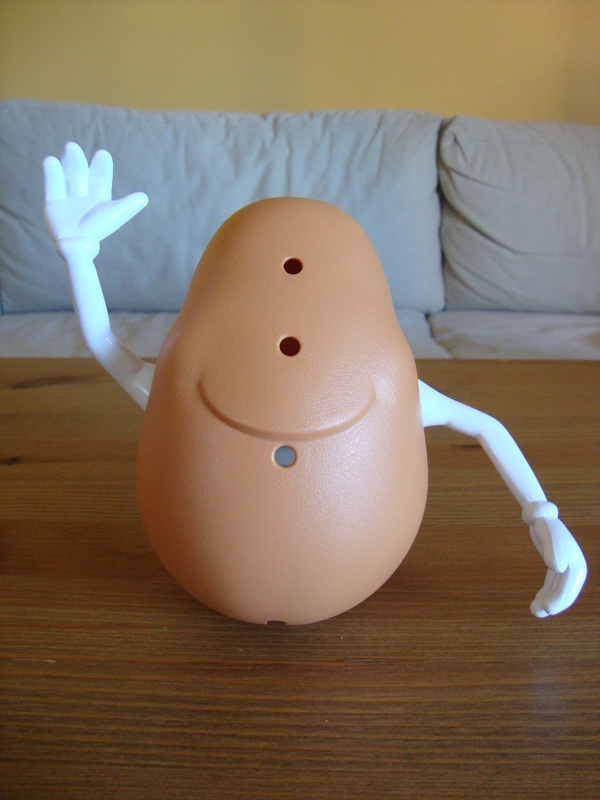 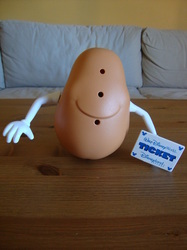 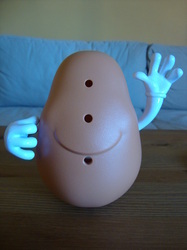 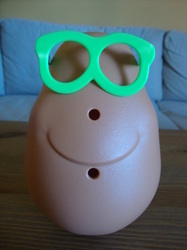 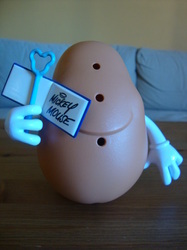 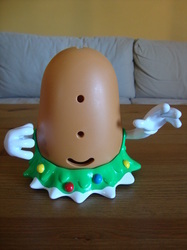 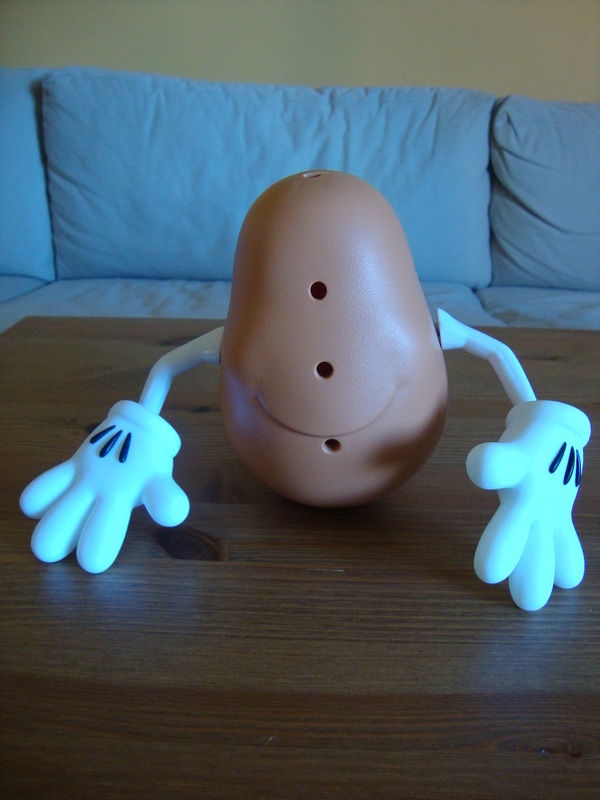 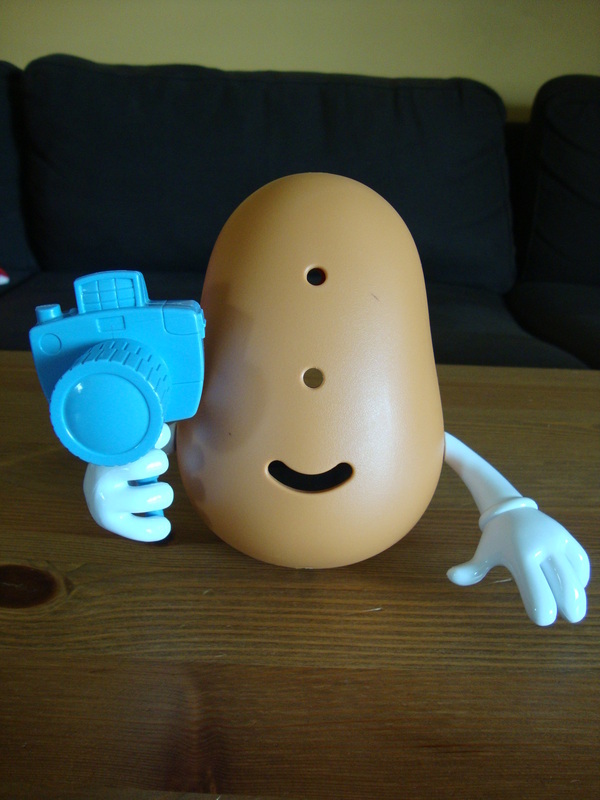 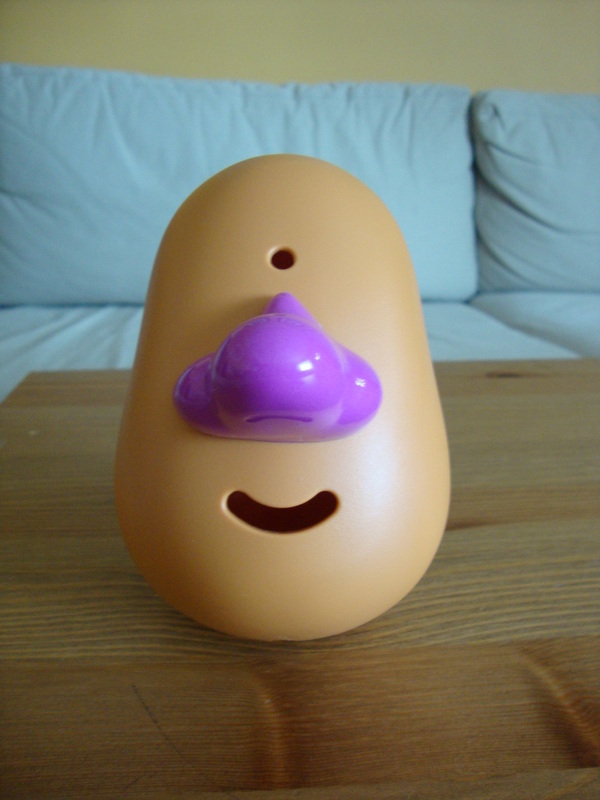 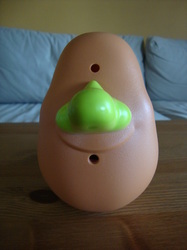 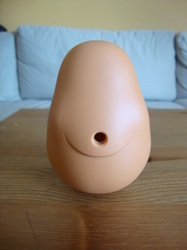 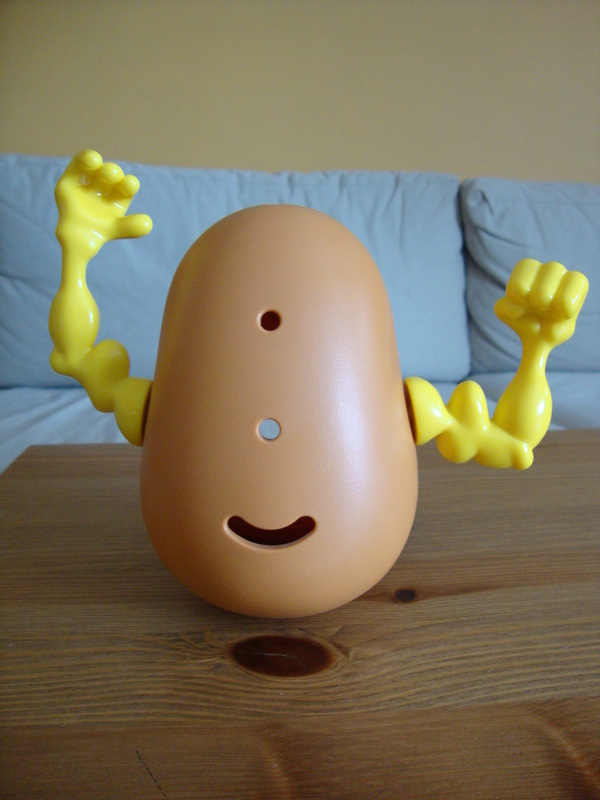 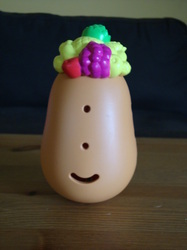 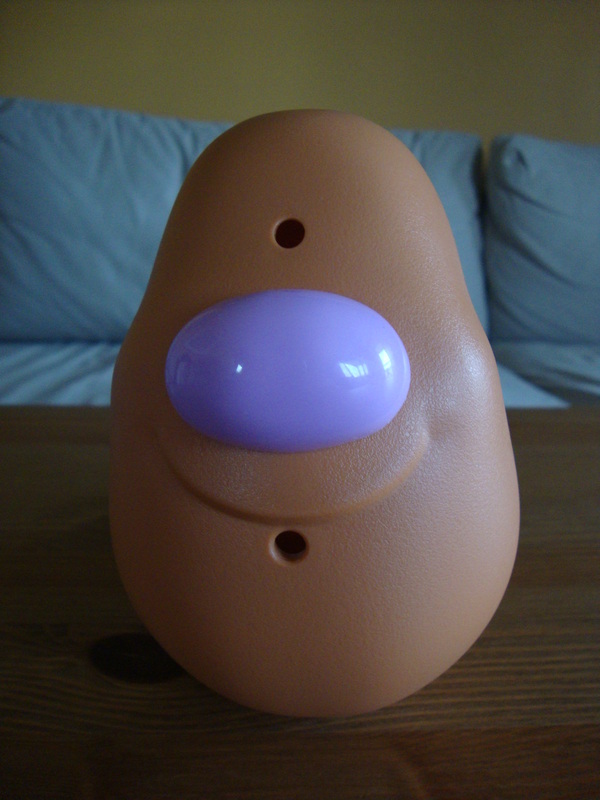 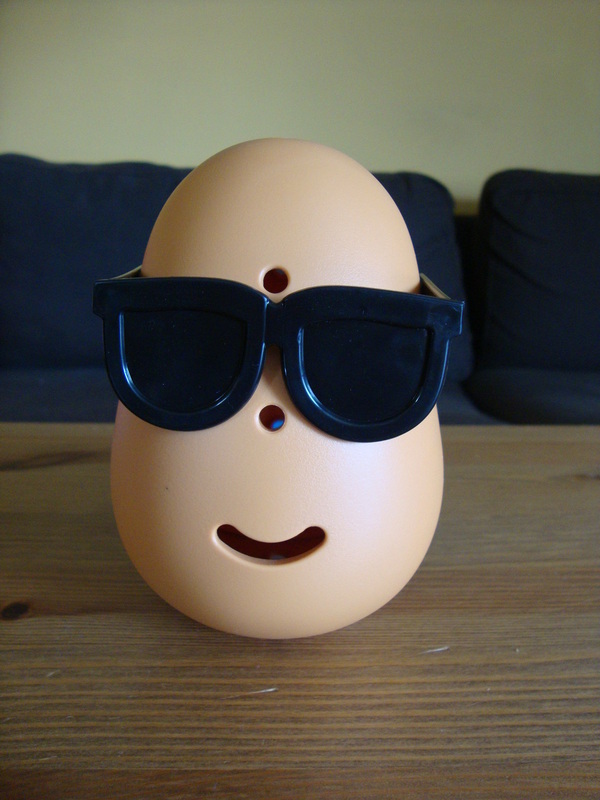 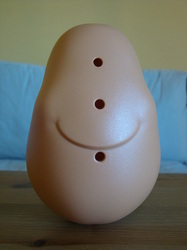 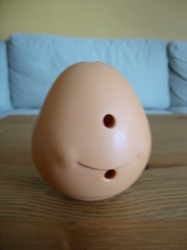 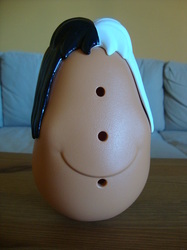 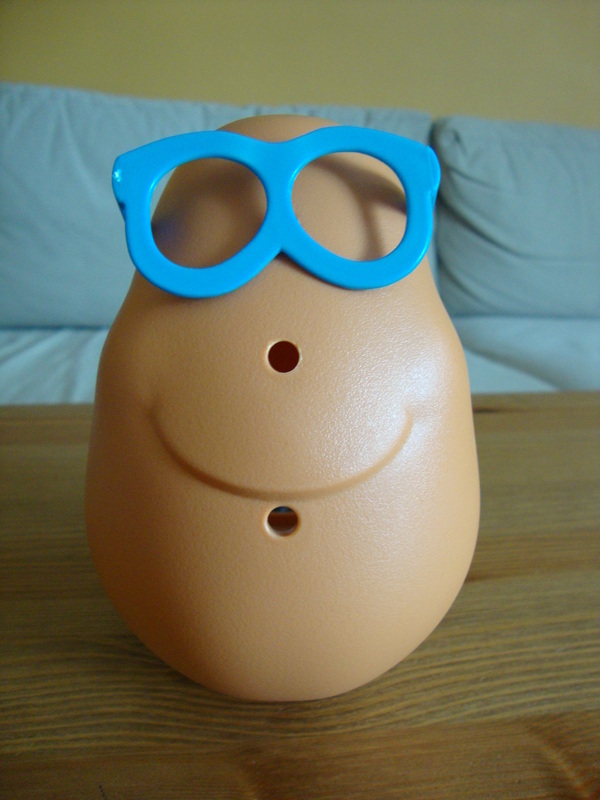 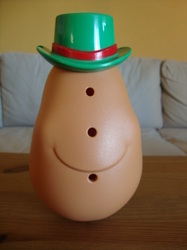 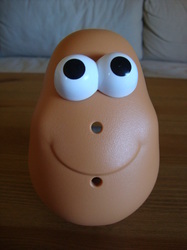 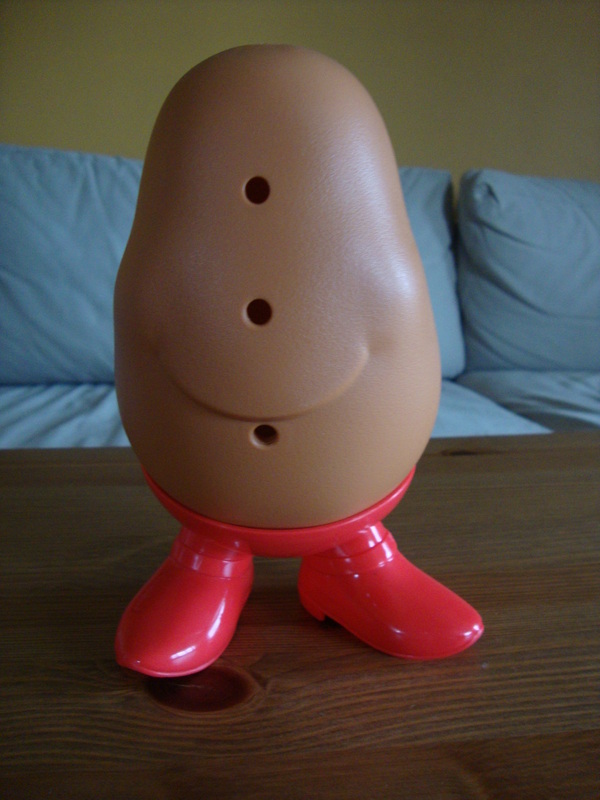 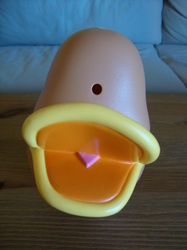 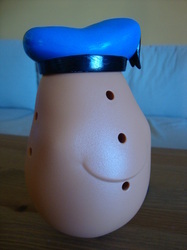 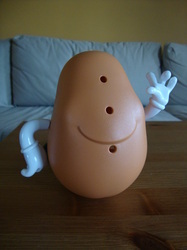 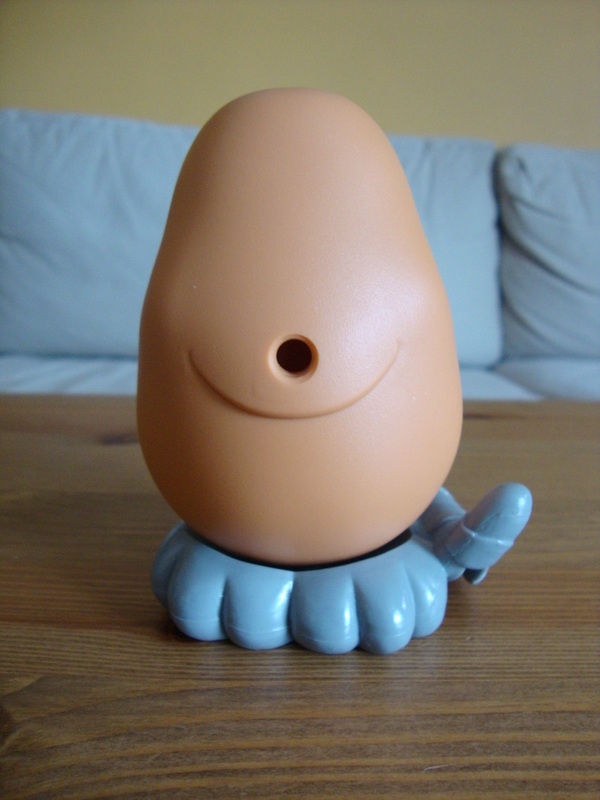 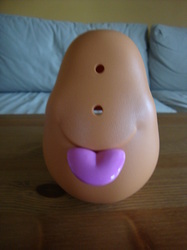 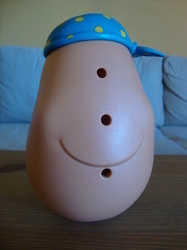 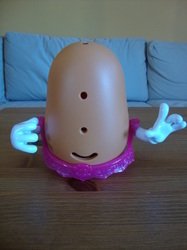 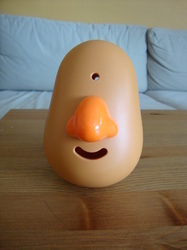 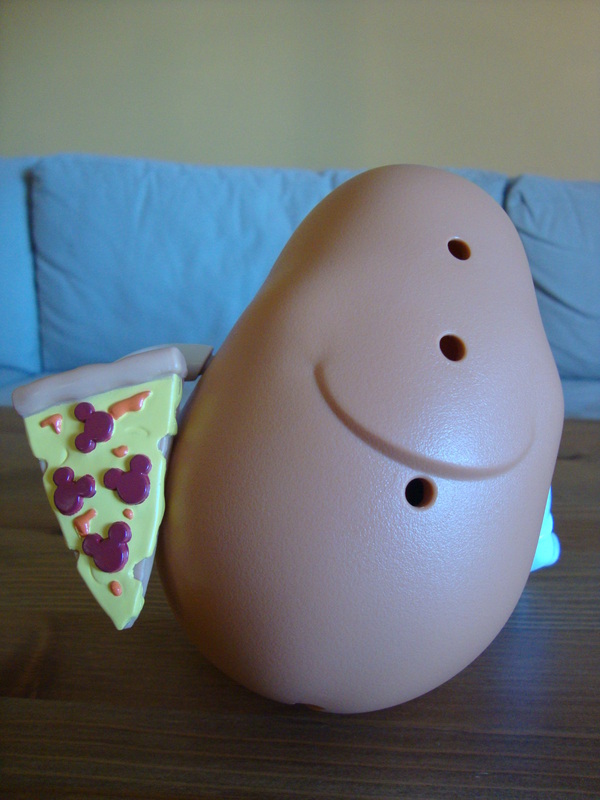 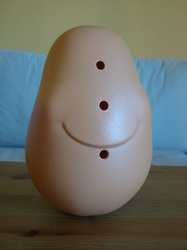 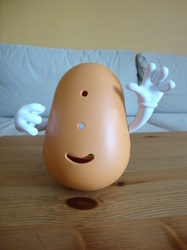 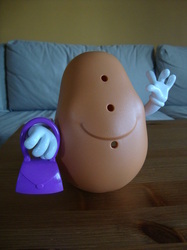 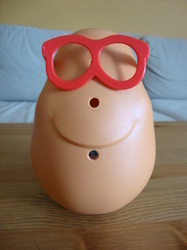 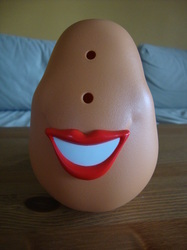 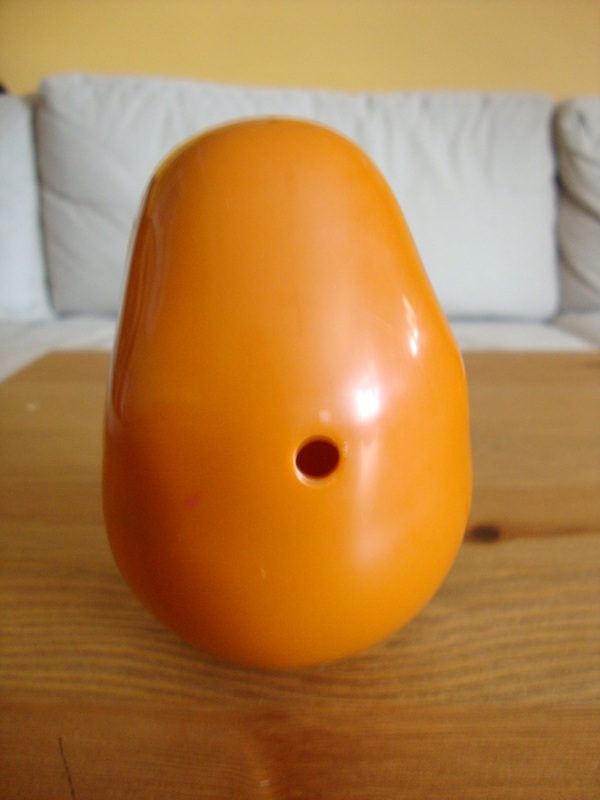 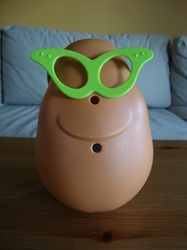 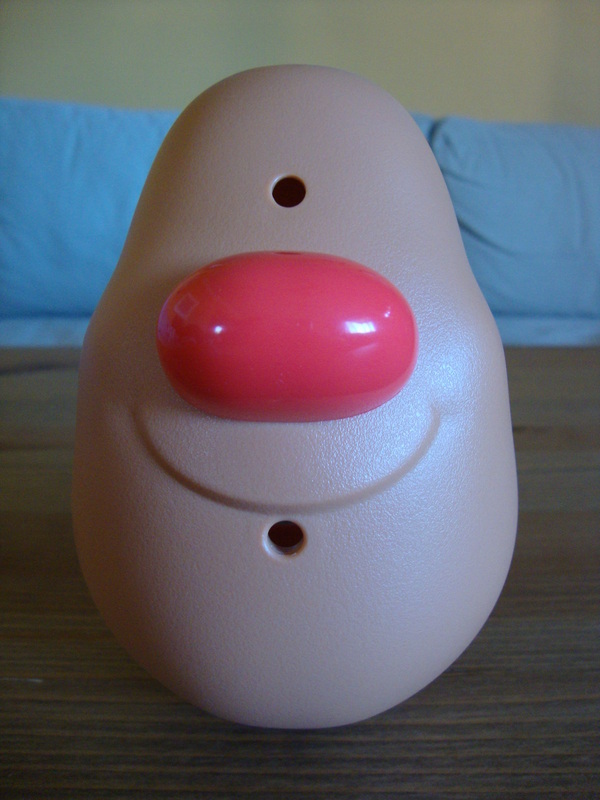 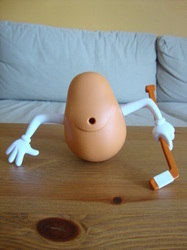 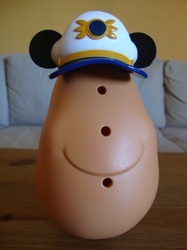 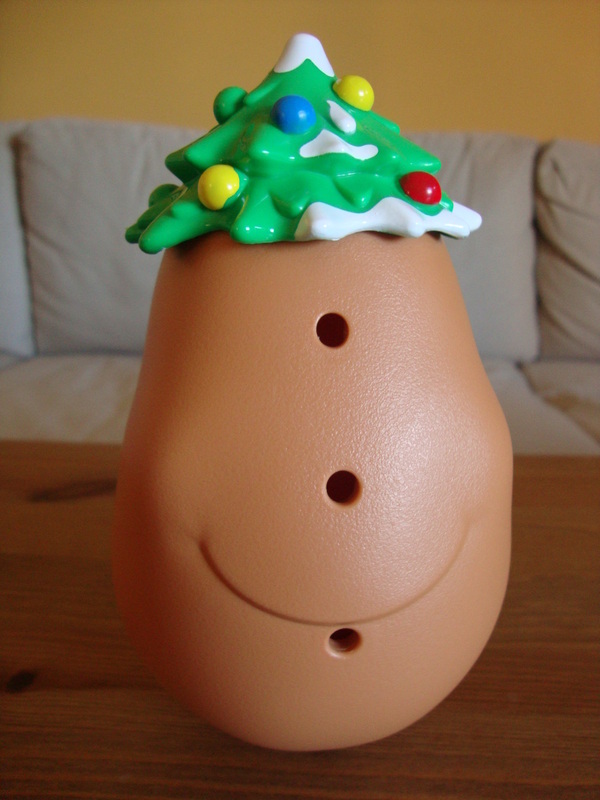 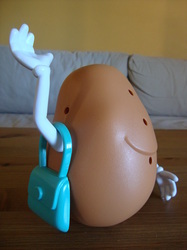 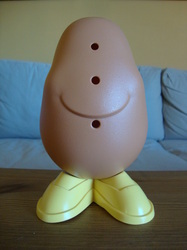 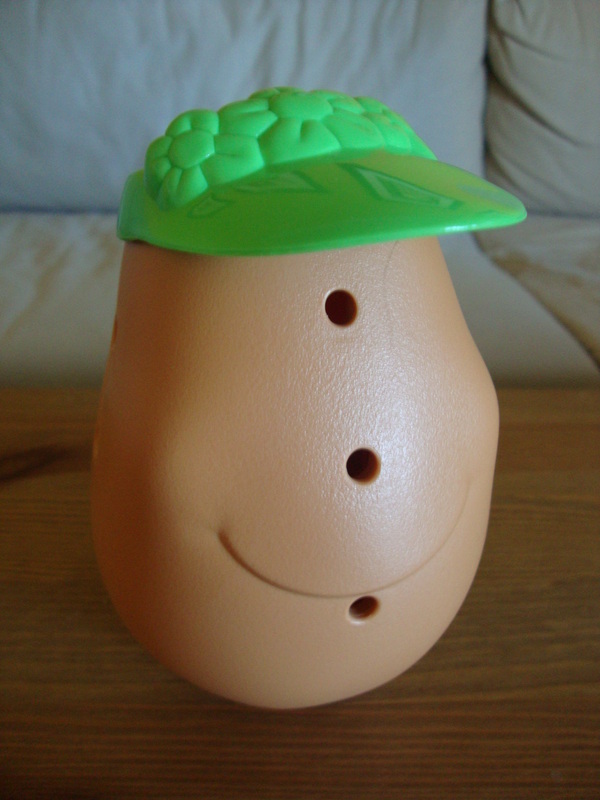 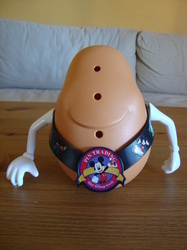 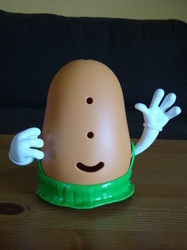 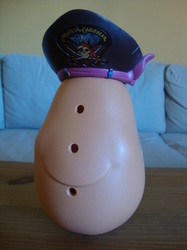 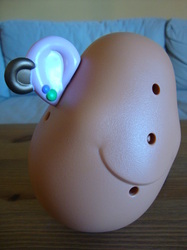 It was in 1964 that the plastic potato body was included in the kits.